The US Capital team specializes in providing debt and equity financing solutions for small to middle market companies. Below is a selection of some of our completed transactions. We are able to serve as a direct lender, co-lender, and lead financial arranger. This widens our scope to secure the best possible financing for our clients. Use the search tool to filter by financing amount, financing type and industry, and click on a transaction tile for further details. 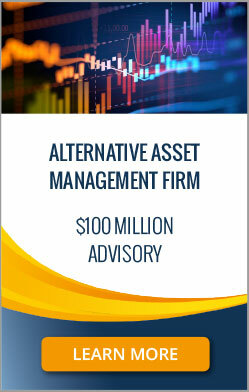 Established over 30 years ago, this alternative asset management firm is based in New York and has several billion USD in assets under management. The firm specializes in transportation, healthcare, municipality services, and debt strategies. The company provides its portfolio companies with the strategic planning, insight, and capital necessary to reach new levels of growth and profitability. Seeking to expand its portfolio through strategic acquisitions, this multi-billion-dollar asset management firm approached US Capital Global for assistance. US Capital Global structured and put in place a $100 million line of credit for the firm. US Capital Global was able to introduce the company to a syndication of capital sources, each providing delayed-draw term loan facilities of $100 million and upwards, and to advise the company on the financial impacts of each structure. This US-based company uses patented technology to provide a unique platform of tools and accurate, repeatable cloud-based analytics targeted at the heating, ventilation, and air conditioning (HVAC) industry. The company focuses on a revolutionary approach to predictive maintenance and troubleshooting of electrical, mechanical, and pneumatic equipment. This expanding tech company needed additional funds to finance capital expenditures, enhance product development, and foster the expansion of its sales and its sales team. The company approached US Capital Global because of the financial group’s background in tech equity investments and its strong network of investors. 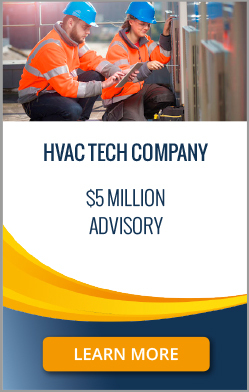 US Capital Global successfully advised this HVAC tech company on a $5 million preferred equity investment. Utilizing a custom, personalized approach to financial advisory and equity investments, US Capital Global was able to assist the business in its continued growth and product development. This Georgia-based firm specializes in the development of commercial real estate assets with a portfolio in limited to full-service hotels, land development, urban mixed-use retail, multi-family, and build-to-suit spaces. 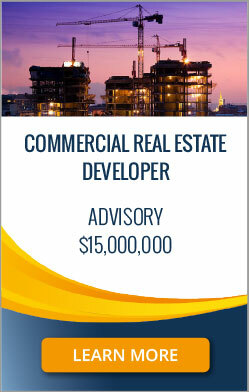 The company approached US Capital Global seeking financial advice regarding the construction of a 60,000 sq. ft. build-to-suit facility. The business sought a $15 million construction loan for the development of the facility, which would feature a day-care and learning center for a non-profit organization, as well as hotel and office space. US Capital Global advised on the facility structure and capital formation of this multi-phase commercial project serving a variety of profit and non-profit tenants. US Capital Global underwrote the project, company, and tenants, advising a redesign of the project’s phasing. Manifesto Holding PLC (“Manifesto”) is a UK-based parent company for the Paris nightclubs Wanderlust and Silencio, among others. Establishing revolutionary arts and culture spaces throughout the city, Manifesto’s various venues play host to a dynamic selection of cutting-edge music, arts, film, and fashion events. After receiving two initial rounds of funding from US Capital Global, Manifesto approached the firm for a third round of financing. 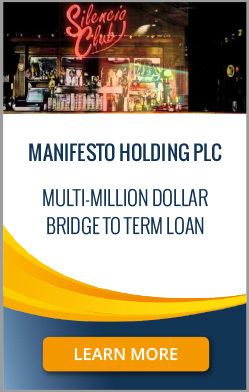 Manifesto sought a multi-million dollar bridge loan to repay an earlier bridge loan and to provide additional working capital for the business. The new facility would allow Manifesto to complete necessary steps towards securing a more expansive term loan for the company’s expansion into the hospitality sector. US Capital Global was able to meet Manifesto’s immediate needs by providing a third round of financing for the company. US Capital Global participated in this multi-million dollar follow-on bridge financing from its own balance sheet, leading the round through its business credit fund, US Capital Business Credit Income Fund, LP. 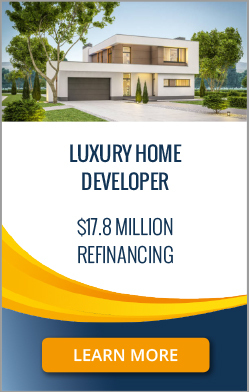 Based in the Hollywood Hills of California, this luxury home developer sought debt finance to refinance an existing loan and complete construction on a luxury mid-development residential real estate project. During the development of the client’s real estate project, construction prices increased beyond the client’s original budget, and the client’s existing lender was unable to provide the additional financing needed. The client therefore approached US Capital Global to secure additional funding and facilitate the completion of its project. 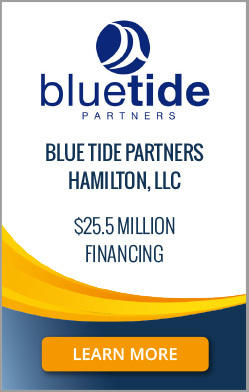 Founded in Kentucky, Blue Tide Partners Hamilton, LLC (“Blue Tide”) is a real estate investment company focusing on the development of affordable single-family homes and multi-family units. The company aims to generate compelling risk-adjusted returns by taking advantage of unique and lucrative investment opportunities, while supporting underserved populations such as single mothers, veterans, and the homeless. Having already rehabbed and sold 250 family homes to new homeowners, Blue Tide sought funding to complete the refinancing, acquisition, and renovation of 647 multi-family units in Great Cincinnati, Ohio. Blue Tide therefore approached US Capital Global for a real estate loan to facilitate its expansion. US Capital Global successfully structured and provided a $25.5 million real estate loan to support Blue Tide’s rapidly expanding real estate portfolio. The loan accommodated the complexities of multiple properties, lenders, and sellers, along with a budget for construction with a reliable management team. Eagle Graphite is a North American mining and natural resource company listed on the TSX Venture Exchange under the symbol “EGA,” and on the Frankfurt Stock Exchange under the symbol “NJGP.” Eagle Graphite’s Black Crystal graphite quarry is one of only two natural flake graphite quarries in Canada or the USA. Eagle Graphite’s Black Crystal project includes two mining leases with a combined area of 300 hectares, valid until 2032 and renewable thereafter. 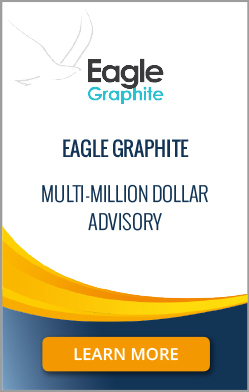 Eagle Graphite sought assistance from US Capital Global following the completion of its oversubscribed multi-million dollar equity financing for the expansion of its project. US Capital Global provided a wide range of advisory services including debt financing advisory for this North American mining and natural resources company. US Capital Global was able to assist Eagle Graphite in its continued project expansion and its progress toward larger corporate financing. With a host of popular venues across Paris, Manifesto Holding Plc is an expanding stakeholder in the French arts, culture, and recreation world. The company and its subsidiaries work closely with London’s V&A, Cannes, Art Basel, and the Venice Biennale, attracting a community of celebrated artists and thinkers, and promoting the appreciation of culture and cultural diversity. Having received strong, positive acclaim for its innovation in the arts world, Manifesto was now pursuing further expansion in the hospitality sector. The company first needed to repay an earlier bridge loan, ahead of a securing more expansive growth-capital finance. Manifesto approached US Capital Global for assistance. US Capital Global successfully provided multi-million dollar bridge financing in two rounds for Manifesto Holding Plc. The term loan allowed the UK-based holding company to repay its earlier bridge loan. US Capital Global was able to support the company’s immediate goals by providing this important bridge loan, ahead of a much larger planned growth-capital term loan. Headquartered in the United States, this established wholesale distributor of perfumes and fragrances serves nearly a hundred international wholesale customers. The company also provides products and services to retailer customers nationwide. This international distributor sought to refinance existing bank debt and secure additional growth capital. The company therefore approached US Capital for assistance. Headquartered in San Francisco, US Capital is a full-service private financial group with strong experience in wholesale and retail finance. 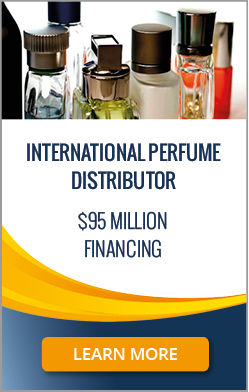 The US Capital team successfully structured and provided a $70 million revolving line of credit, scalable to $85 million, and a $10 million term loan for this international distributor of perfumes and fragrances. The scalable, expansive financing served to support the continued growth of the company. Established more than a century ago, this firm is a leading specialty jewelry stores company in the United States. The company operates retail stores in shopping malls, strip centers, and power centers throughout the country, and also has a retail presence online. This nationwide retailer wanted to refinance its existing bank debt and expand its business through strategic store openings. The company therefore approached US Capital for assistance. Headquartered in San Francisco, US Capital is a full-service private financial group with strong experience in e-commerce and retail finance. 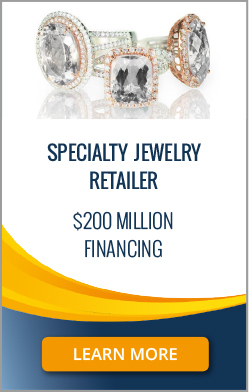 US Capital structured and provided a $150 million revolving line of credit, scalable to $200 million, for this leading specialty jewelry company in the United States. The scalable, expansive financing was designed to support the continued expansion of this nationwide retailer. Senzari, Inc. is an expanding big data startup that develops data and intelligence solutions for the media and entertainment industry. Its customers include a wide array of industry players, from global record labels to end-user streaming platforms that provide both radio and on-demand music and video streaming services across a broad range of devices (PCs, mobile phones, and Internet appliances). Senzari provides music intelligence solutions through its MusicGraph API, facilitating access to various music and movie datasets, advanced search, and social trend tracking. The company had plans to expand further, and was seeking additional financing for product development and operating expenditures. Senzari approached the US Capital team for assistance. 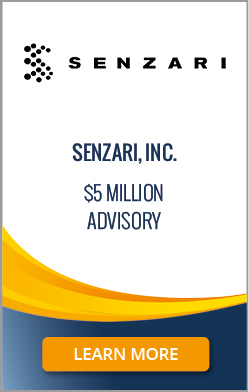 US Capital advised on a $5 million convertible note raise for Senzari. In providing general financial advisory services to this expanding big data startup, the US Capital team helped support the company in its growth plans. US Capital provides financial advisory, private placement, and capital raise services through its registered investment bank affiliate, US Capital Global Securities, LLC. Sava Holdings Ltd. is a boutique hotel development and management company located in Irving, Texas. A complete hotel service business, the company undertakes hotel design, development, construction, and management, focused on the development and creation of architecturally appealing hotels in prime locations. Sava Holdings had 745 rooms under management in the Dallas Fort Worth Metroplex and another 427 under construction. The company needed to raise preferred equity for a buyout of current limited partners and to recapitalize the business and provide additional growth capital. Sava Holdings therefore approached the US Capital team for assistance. US Capital advised on a $55 million limited partner buyout and preferred equity recapitalization for this expanding boutique hotel development and management company. 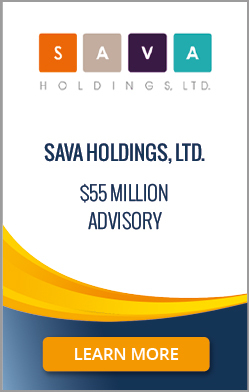 The US Capital team was able to provide financial and strategic advisory services to Sava Holdings, to help the business realize its objectives. 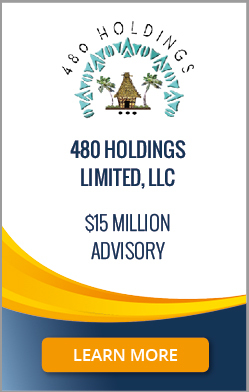 Formed in 2015, 480 Holdings Limited, LLC is a company based in Tijeras, New Mexico, that planned to bottle and sell premium Fiji natural spring water under the brand Yaqara Water™. CEO Patrick Scanlon brought over 40 years of project management and marketing experience to the company, with 18 years spent at Walt Disney Imagineering, and was supported by a team of experienced business executives. To date, the company’s primary work had been to organize and prepare for the extraction, bottling, marketing, and sales of its spring water from Fiji. The business had also pledged to contribute 1.0% of its annual gross revenues to a fund for assisting more than 1,700 local village members near the bottling plant. 480 Holdings now required $15 million in additional financing to launch its brand. US Capital advised on a $15 million convertible note investment facility for 480 Holdings. In providing general financial advisory services to the business, the US Capital team helped position the company for investment and growth. US Capital provides financial advisory, private placement, and capital raise services through its registered investment bank affiliate, US Capital Global Securities, LLC. Formed in May 2017, Food by Rail Logistics Holdings, Inc. is an environmentally focused logistics and transportation company for frozen and refrigerated protein, produce, packaged food, and beverages. The company planned to provide state-of-the-art refrigerated boxcars for transporting food and beverages primarily by rail, with a unique stacking system to use more cube capacity. Moving freight by rail instead of truck lowers greenhouse gas emissions by 75%. Trains also reduce highway gridlock and emissions of particulate matter and nitrogen oxides. Food by Rail aimed to launch and develop its environmentally focused logistics and food transportation business, but the company required $5 million pre-revenue funding. 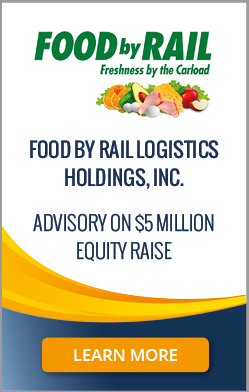 US Capital provided financial advisory services for a $5 million Series-A preferred equity raise for Food by Rail. In providing financial and strategic advice to the business, the US Capital team helped position the company for private placements. US Capital provides financial advisory, private placement, and capital raise services through its registered investment bank affiliate, US Capital Global Securities, LLC. A leading aerial advertising operator, AirSign provides integrated, full-service airship advertising and promotion programs for its clients, which include Cisco, Disney Dream, Extreme Makeover, Google, Hewett Packard, PEMCO, McDonalds, and Wrigley. The company offers a range of innovative aerial�?advertising products that include blimps, banners, skywriting, and related AirSign Boost™ programs. 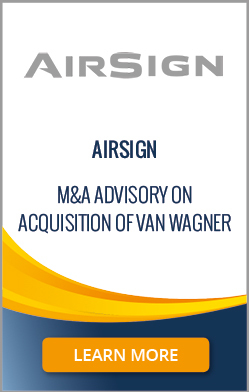 Intent on building a market leader in airship advertising, AirSign was interested in the strategic acquisition of Van Wagner Airship Group, based in Orlando, Florida. This significant acquisition would make AirSign one of the largest airship advertising companies in the world. AirSign approached the US Capital team for M&A assistance. Acting as exclusive financial advisor, the US Capital team supported AirSign’s strategic acquisition by providing potential capital structures, milestones needed for additional capital, and M&A advisory services. The US Capital team, a full-service private financial group, delivers buy-side, sell-side, and divestiture financing and advisory for M&A. Business acquisition and business sale services with financing at the firm are provided by the firm’s registered investment bank affiliate, US Capital Global Securities, LLC. Headquartered on the East Coast, this established e-commerce retailer had been in business for more than ten years. The company had over time established relationships with top-tier manufacturers across a wide range of categories, from medical and fitness to toys and household goods. This online retailer was looking to expand its business further. The company needed to secure growth capital to increase its inventory and complete rising customer orders. It therefore approached the US Capital team for strategic and financial advice. The US Capital team is a full-service private financial group with strong experience in e-commerce and retail finance. The US Capital team structured and advised on a multi-million dollar growth financing program for this expanding e-commerce retailer. Supporting the company as its exclusive financial advisor, the US Capital team successfully assisted the business in securing expansive growth capital promptly and efficiently. Headquartered on the West Coast, this leading green energy company designs and manufactures mobile solar technology and other renewable energy products for distribution across the United States. With its wide range of reliable products, the company is committed to helping environmentally conscious consumers and businesses reduce their carbon footprint. This renewable energy company was seeking additional working capital to increase its inventory, as it continued to expand its operations. US Capital is a full-service private financial group with a strong interest in renewable energy and impact investing, and the company was therefore an immediate fit for US Capital's experienced renewable energy division. 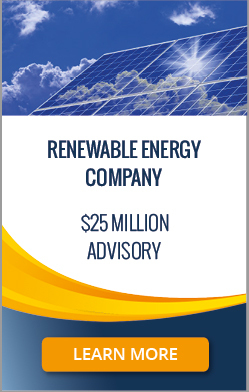 The US Capital team advised on a $25 million financing program for this innovative West Coast-based green energy company. The company was able to benefit from the creative financing solutions and attention to detail the US Capital team provided in advising the business. As a result, the company was able to secure the additional working capital it needed to increase its inventory and pursue its expansion plans. Headquartered in New York City, Focus360, LLC is a leading media and radio advertising company that offers multi-platform solutions in the media industry. The company develops and executes targeted advertising campaigns for national advertisers, serving Fortune 500 clients. This leading media and radio advertising company required additional working capital that would allow it to better manage its resources and leverage its accounts receivables. Due to the complex nature of receivables in the media industry, Focus360 sought US Capital's assistance and experience. 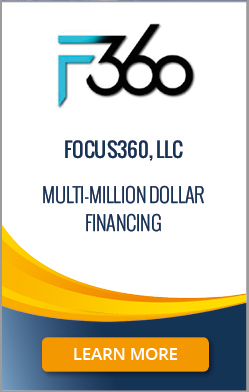 The US Capital team successfully structured and provided multi-million dollar financing for Focus360. The US Capital team custom designed this flexible and scalable facility to fit Focus360's business model, and provided the additional financing the firm needed to further expand its business. Illuminergy, Inc. (dba "Illuminer") is an expanding developer and distributor of high-value LED lighting products. Illuminer’s products are used for the interior and exterior illumination of residential, office, and commercial facilities, as well as of industrial, outdoor, and architecture facilities across the United States. The company’s LED products result in significantly lower facility energy costs. Illuminer was preparing to launch its innovative LED street and parking light system called Cobratech in the United States. The company approached the US Capital team to complete some due diligence work in preparation for a future equity raise, to create an overall capital formation plan, as well as to provide introductions to strategic investors and other potential partners. 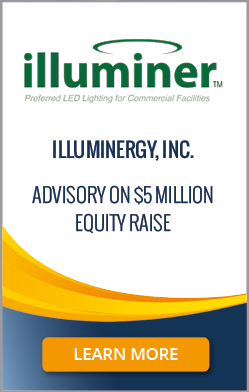 The US Capital team completed due diligence and advised Illuminer on an equity raise of up to $5 million, to support the company’s ongoing expansion and the launch of its Cobratech lighting system in the United States. Illuminer was extremely pleased with the first-class service, process, and results. AgPro Exchange, LLC is an expanding big data and analytics company serving the agriculture industry. Based in Lubbock, Texas, the AgPro Exchange team consists of growers and industry professionals with intimate knowledge of the agricultural space and many years of experience in their fields of expertise. AgPro Exchange is dedicated to creating the agriculture industry’s first cloud-based platform that will be controlled by growers and open to all industry service partners and technology providers. The company needed an additional capital infusion to be able to continue its product development and expand in the US market. It therefore approached the US Capital team for assistance. 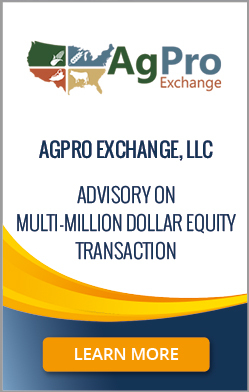 The US Capital team performed market analysis, provided strategic advisory, and structured a multi-million dollar equity transaction for AgPro Exchange. US Capital's approach in structuring the offering was crucial to AgPro Exchange’s successful capital infusion, and put the company in a great position to increase its capabilities and broaden its reach. This Southeast-based early-stage alternative loan provider focuses on serving the finance needs of small and medium-sized businesses in the United States. Born out of the financial crisis, the company offers a personalized service focused more on the overall health of a business than on a business owner’s credit score. In 2016, this alternative loan provider originated over $100 million in business loans. However, the firm had been seeking a partner for some time, to help finance its own transactions and to expand its portfolio. It approached the US Capital team for strategic assistance. 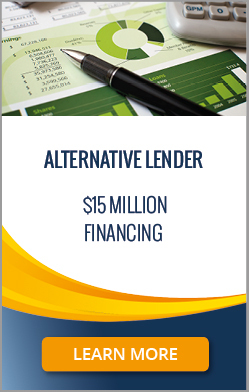 The US Capital team proposed various helpful finance strategies for this early-stage alternative loan provider. The US Capital team then also successfully provided a financing line of credit scalable to $15 million for this originator headquartered in the Southeast, to help the company move into its next phase of growth. 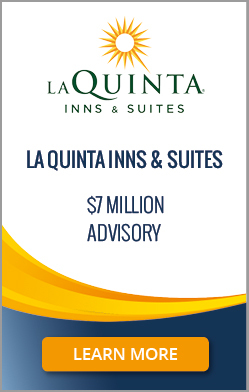 Founded in 1968, La Quinta Inns & Suites is a chain of hotels in the United States, Canada, Mexico, and Honduras. Shares in the company are listed on the New York Stock Exchange under the symbol LQ. The company owns and operates over 800 properties and franchises approximately 295 under various brand names. Lodi Vineyards Hospitality, LLC, a real estate developer in Lodi, California, had obtained local planning approval for the construction of a new La Quinta Inns & Suites hotel in the city. Lodi Vineyards Hospitality wished to build a 40,000 square foot, 76-room hotel at 1136 S. Cherokee Lane in Lodi. Located in San Joaquin County, the city is well-known for being a center of wine grape production. 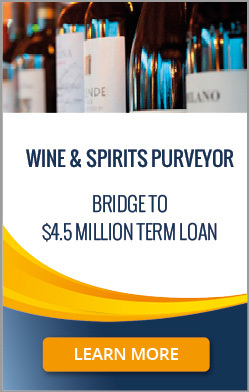 Lodi Vineyards Hospitality now needed help in securing suitable construction financing for the project and in better understanding the various financing options available to the firm. The company therefore approached the US Capital team for assistance. The US Capital team advised the real estate developer on custom project financing of $7 million for the construction of the new La Quinta Inns & Suites hotel. In providing intelligently structured financing, the US Capital team was able to increase the loan-to-value ratio for the project. Lodi Vineyards Hospitality greatly appreciated the creative financing solutions and attention to detail that the US Capital team provided. CommunityLeader, Inc. is a Nevada-based FinTech company that offers market-leading, web-based securities offering platforms and services that are designed to be regulatory compliant. The company had four years of market and client experience at the time, with over 27 active portals. Its portals had successfully entered into 140 multinational engagements already, representing over $200 million in raised capital. CommunityLeader’s proprietary software was uniquely positioned with the aim to become the dominant investment operating system for the sale of private securities worldwide. Led by seasoned industry veterans, FinTech and software specialists, and leading experts in private securities and securities law, CommunityLeader was now at an inflection point in its growth curve. It therefore needed further capital for its next stage of growth. US Capital successfully provided an initial closing for a $1.25 million investment facility for CommunityLeader, as part of an ongoing capital raise for the company. US Capital has a very wide network of high-net-worth investors and family offices. 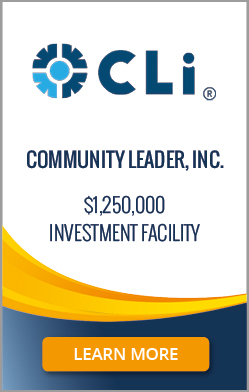 This allowed US Capital to raise equity through its securities division, US Capital Global Securities, LLC, and to provide this custom investment facility for CommunityLeader quickly and efficiently. Headquartered in Hawthorne, CA, Fulham Co., Inc. is a leading global supplier of lighting components and electronics for commercial and specialty applications. The company develops and manufactures a variety of award-winning LED and emergency products, as well as legacy products across multiple lighting platforms. Fulham has over 800 employees in facilities in North America, the Middle East, Europe, China, and India. A truly international and socially conscious company, Fulham had been executing well on its expansion plans by manufacturing and distributing energy-saving LED products worldwide. The company was now interested in the strategic acquisition of a distributor in Holland. However, when traditional banks in the US found the transaction too challenging to finance, Fulham approached US Capital for financing. 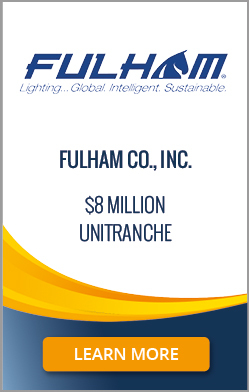 US Capital structured and provided a custom $8 million unitranche facility for Fulham to replace the company’s existing facility. The new structure provided Fulham with capital to pursue the strategic acquisition abroad, while leaving the company with even more working capital for its current and future needs. Fulham’s CEO and CFO were extremely pleased with this well-structured and timely financing. 1313 Franklin, LLC is the owner of the Downtown Gateway project, a landmark residential and commercial development at 1313 Franklin St. in Santa Clara, Silicon Valley, CA. The project will bring 44 for-sale condominium units and 14,500 square feet of ground-floor commercial space to the heart of downtown Santa Clara. 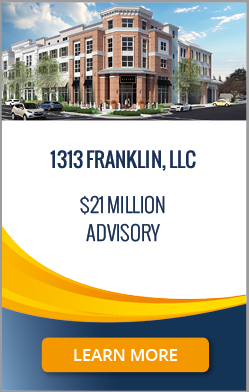 1313 Franklin, LLC is responsible for all development work, including permits, construction, and the sale of units. 1313 Franklin, LLC appointed SiliconSage® Builders as its developer for the project. With permits also in place, the company now needed custom and expansive financing for this landmark catalyst project, designed to kick-start the new urban renewal of downtown Santa Clara. It sought assistance from US Capital, which has a history of successful closings in the commercial and residential real estate sectors. US Capital advised 1313 Franklin, LLC on project financing of $21 million for the Downtown Gateway project. Through documentation review, analysis, and structuring, US Capital was able to provide valuable improvements to the developer’s credit profile in order to accommodate the developer’s growing project pipeline. The company greatly appreciated US Capital hands-on approach to its project financing needs. Established almost 50 years ago, Paul Ryan Associates is a leading general contractor with licensed operations across multiple States, from New York City to Hawaii. The company builds high-end, custom residential and commercial real estate and tenant improvement projects. With a passion for constructing custom homes, Paul Ryan Associates has built its reputation on the quality of its workmanship. 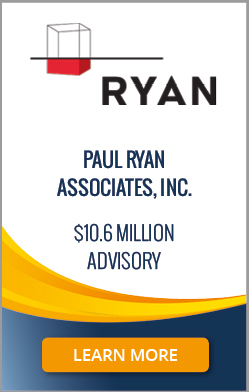 Paul Ryan Associates needed to refinance its bank debt and also to secure additional working capital to support its current and future needs. The company therefore approached the US Capital team for assistance. US Capital is a private financial group with a history of successful closings in the commercial and residential real estate sectors. In this case, following a detailed financial analysis of the business, the US Capital team advised on a real estate term loan of up to $10.6 million for Paul Ryan Associates. This term loan was carefully customized to meet the unique needs of this nationwide general contractor and to support its continued expansion. Euro Motor Sport is a high-end, luxury automobile dealership. The company sells and leases its vehicles nationwide, with concentration in the nearby affluent region of greater South Florida, including Palm Beach, Fort Lauderdale, and Miami. The company offers an unrivalled selection of the industry’s most sought-after exotic cars. Its brands include Bentley, Ferrari, Maserati, Lamborghini, Rolls-Royce, and Bugatti. Euro Motor Sport wished to expand its presence in Fort Lauderdale and further enhance its business operations. The company approached US Capital for flexible and timely debt refinancing and additional working capital to support the renovation of its showroom and to acquire an adjacent property. 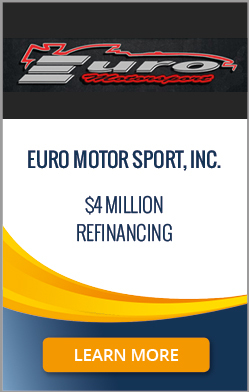 US Capital committed $4 million in refinancing to Euro Motor Sport. The company greatly appreciated US Capital ’ assistance in advising on its ongoing expansion and in supplying this term loan facility. The flexible and timely refinancing was custom designed to support the continued growth of this high-end, luxury automobile dealership in Fort Lauderdale. MusclePharm Corporation is an award-winning American nutritional supplement company headquartered in Denver, Colorado. With more than 15 industry awards, including “Brand of the Year,” MusclePharm develops and brings to market clinically proven, safe and effective nutritional and sports supplementation products to enhance athletic performance, strength, and overall personal health—all without the use of banned substances. MusclePharm’s history was one of rapid expansion. Founded in 2010, the company was now selling its products in over 120 countries, through over 45,000 global retail outlets. However, MusclePharm was locked in a restrictive financing structure that was impeding its growth. The company therefore approached the US Capital team to refinance its existing debt and to provide additional working capital to support its continued growth. 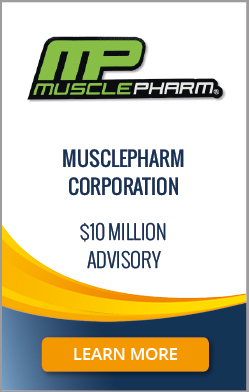 After analyzing MusclePharm’s assets, the US Capital team was able to structure and provide a non-traditional, flexible $10 million accounts receivable and inventory line of credit to meet MusclePharm’s unique needs. This custom line of credit provided the funding necessary to support the ongoing expansion of this global market-leader in the sports nutrition industry. Wham-O Marketing, Inc. (“Wham-O”) is a global leader in the toy and lifestyle industries. Headquartered in Los Angeles, California, Wham-O manufactures and markets some of the most recognizable consumer brands in the world today, from classics like Frisbee® discs, Slip ’N Slide® water slides, and Hula Hoop® toy hoops, to outdoor brands like Morey®, Boogie® body boards, Snow Boogie® sleds, and BZ® Pro Boards. Wham-O had closed two previous rounds of financing with US Capital, as the company continue to expand its range of world-class branded products. Wham-O was at an inflection point in its international expansion, and now required a third round of bridge financing. The company approached US Capital because of the firm’s deep experience in delivering well-structured, customized financing solutions. 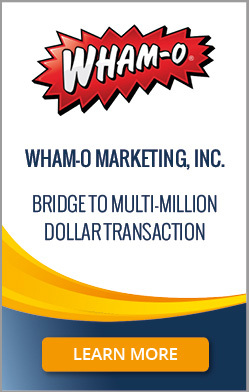 US Capital promptly structured and provided a third round of bridge financing for Wham-O. The follow-on financing was designed to help Wham-O fulfill new customer orders and raise a multi-million dollar investment facility to support its long-term strategic growth initiatives. Wham-O was especially impressed with the way US Capital took a solution-oriented approach to addressing the company’s short-term capital requirements, while simultaneously supporting its long-term strategic goals and vision. Founded in 2000, CAO Group, Inc. is a leading global technology and manufacturing firm. The company is an innovative leader in the design, development, and manufacturing of high-quality dental, medical, veterinary, forensic, and LED lighting products. CAO Group is located in West Jordan (Salt Lake City), UT, but also has a manufacturing facility in Langfang (Beijing), China. CAO Group had been expanding quickly. At the time, the firm had 68 issued patents and 100 pending patents, which it was actively licensing to companies around the world. CAO Group now needed to refinance its existing debt and to secure additional working capital to support its ongoing growth. The company therefore approached US Capital for help. US Capital was able to analyze CAO Group’s large and complex portfolio of intellectual property, and then to secure a non-traditional, custom $6.5 million intellectual property term loan to meet the company’s needs. 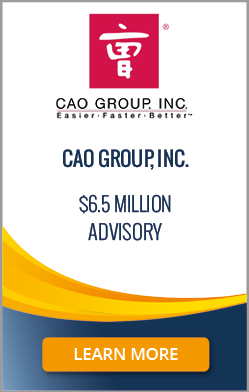 US Capital best-in-class financial advisory services helped support CAO Group’s continued expansion as a leading global technology and manufacturing firm. This well-established beverage business is one of the largest independent purchasers of wine and spirits in Southern California. The company offers fine wines, a variety of liquor and spirits, over 250 craft and imported beers, and other hard-to-find premium items from leading distilleries around the world. The company is locally owned and operated, with a tradition of upscale service and a strong focus on excellence. With multiple retail locations in Southern California, this upscale wine and spirits purveyor was locked in an inappropriate financing structure. The business was therefore seeking a $4.5 million term loan to refinance existing promissory notes and secure additional working capital, but it needed a short-term bridge loan to this refinancing event. 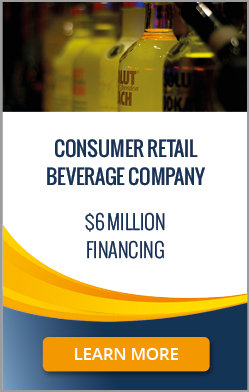 US Capital promptly structured and provided bridge financing to the $4.5 million term loan this California beverage business was seeking. This custom-structured and timely bridge loan provided much-needed working capital to support the continued growth of the business up to the refinancing event. Tora Ventures is a Canadian distributor of residential and commercial roofing materials. Based in Calgary, Alberta, the company provides a wide variety of goods and materials for all aspects of residential and commercial roofing, including underlayment, waterproofing and insulation, weatherproofing, and drip edge and siding. 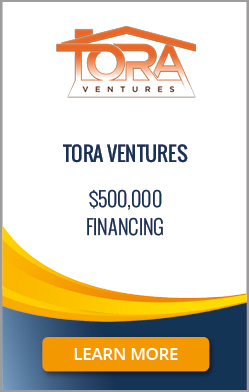 The US Capital team first provided financing for Tora Ventures in October 2014. Tora Ventures has since been expanding rapidly, and required some additional working capital and growth capital ahead of its peak summer season. This Canadian distributor returned to US Capital Partners because of the firm’s breadth of experience in funding businesses and its ability to close quickly and efficiently. The investment team at US Capital promptly structured and provided a second round of financing to support Tora Ventures’ continued expansion. Tora Ventures was extremely pleased with this well-structured follow-on term loan, which provided the additional working capital and growth capital the company needed ahead of the busy summer season. Based in Cape Coral, Florida, Action Craft Boats is a manufacturer and vendor of high-quality salt- and fresh-water boats. The company began over two decades ago with the aim of building custom, durable, angler-designed skiffs of the highest quality, setting new standards for shallow water fishing boats. Action Craft currently has nine models of flats boats and three models of bay boats. Action Craft was experiencing increased demand for its custom boats, and wished to increase its footprint in Florida and the Southeast. Due to some historical losses and the customized nature of Action Craft’s inventory and collateral, the company was having difficulty finding financing. It approached US Capital for assistance. 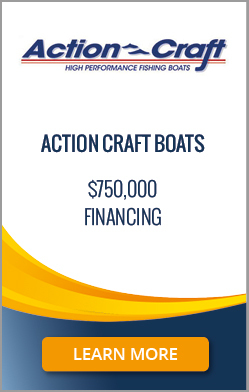 US Capital provided a $750,000 growth-capital term loan for Action Craft. Rather than approach this finance opportunity solely by evaluating long-term historical performance and collateral, as most traditional banks had done in assessing Action Craft’s application, US Capital was able to leverage the company’s strong recent quarters and increased purchase order pipeline to provide this timely growth-capital term loan. Established in 1979, Central Texas Frame and Alignment, Inc. (“Central Texas”) is a full-service truck collision repair company located in Elm Mott and Waxahachie, Texas. This family-owned and operated business provides a variety of services including a truck body shop, truck paint shop, and truck frame shop, thereby handling all aspects of truck and trailer restoration. Central Texas had grown over the years to become an industry leader in its field, combining experience and cutting-edge technology to provide customers with the highest quality service possible. 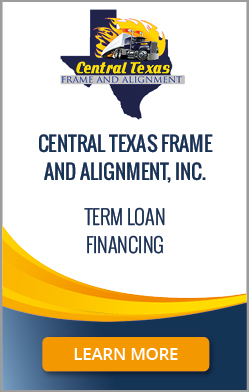 Central Texas now needed well-structured refinancing to support its continued growth. The business therefore approached US Capital for assistance. This was a difficult refinancing request involving multiple borrowing entities, collateral types, and outstanding loans. Nonetheless, US Capital was able to provide a $1.8 million senior term loan for Central Texas. This was a complete custom refinancing solution backed by a government guarantee program that consolidated Central Texas’s debt at a lower cost and with longer amortization, while also providing additional working capital for the business. Pacific Contours Corporation ("Pacific Contours") is an award-winning leader in precision machining and assembly for the aerospace industry. In 2008, Pacific Contours acquired Jaycraft Corporation, making it one of the largest female-owned companies in the aerospace industry. The acquisition also broadened the scope of Pacific Contours beyond the aerospace industry by adding a full array of hard metal turning, machining, and precision grinding capabilities. Committed to excellence, Pacific Contours has won numerous awards in the industry over the years, including Anaheim Business Awards, the Nunn-Perry Award, and a range of prestigious Boeing awards. The company was eager to pursue strategic growth plans, but was locked in an inappropriate debt financing structure that was hindering its ability to expand. In need of a larger, less restrictive credit facility, Pacific Contours approached US Capital for assistance. US Capital provided a well-structured $10 million credit facility and term loan for this award-winning leader in the aerospace industry. US Capital successfully leveraged the assets of Pacific Contours to provide this larger, less restrictive credit facility for the company. 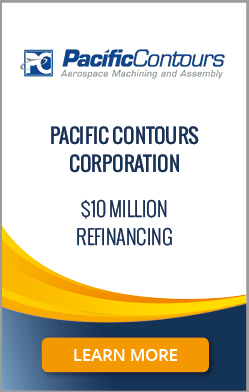 The refinancing better matched Pacific Contours’ working capital needs and its borrowing base, helping the company pursue its business growth objectives. Speculative Product Design, Inc. ("Speck") is a leading designer and manufacturer of electronic accessories. Headquartered in Palo Alto, CA, Speck is best-known for creating refreshing designs that offer quality, thoughtful features, and distinctive style. Its line of products can be found worldwide at Apple retail stores and at most major electronics dealers. Speck wanted to capitalize on upcoming commercial growth opportunities, but needed financing that was affordable and intelligently structured. Speck's lender was deleveraging the inventory financing available to the company and was unable to provide additional funds. Speck was therefore looking to refinance its line of credit and increase its borrowing availability, to support the company's continued domestic and international growth. 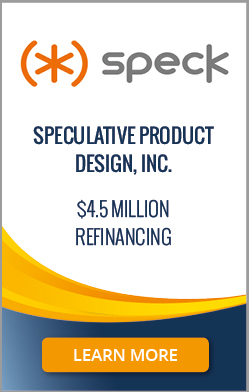 Serving as lead arranger, US Capital was able to arrange a $4.5 million senior secured credit facility for Speck. The credit facility served to refinance Speck's previous line of credit, and included an inventory revolver and an AR line of credit for both domestic and international assets. Working with its many affiliates, the US Capital team successfully structured and arranged an optimal financing arrangement for Speck. 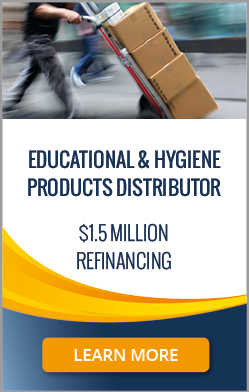 Headquartered in the Northeastern United States, this distributor provides both educational publications and personal care products to a wide range of customers across the United States and abroad. The company offers a comprehensive suite of book and multimedia services for public, academic, government, and specialty libraries worldwide. Its personal care products division offers a wide array of products, including health and hygiene kits customized to order. This worldwide distributor was looking to expand its range of multimedia services and personal care products. However, the company was locked in an inappropriate debt financing structure that was hampering its growth. The business therefore approached US Capital to refinance its existing bank loan and put in place a more flexible, scalable asset-based facility. US Capital provided a $1.5 million accounts receivable and inventory line of credit for this expanding distribution business. US Capital was able to put in place an asset-based facility that not only provided additional working capital for this Northeast-based distributor but also better supported the ongoing growth and payables management of the business going forward. LESS Institute is a nationwide network of surgery centers offering best-in-class outpatient and surgical care services. The company was founded on the principle that surgical care should be safe, affordable, and deliver quality results. 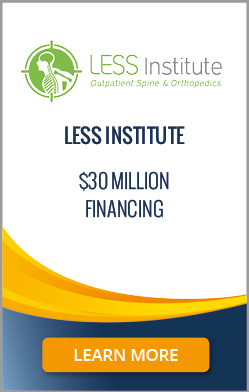 LESS Institute provides outpatient spine and orthopedic treatments using its own carefully selected surgeons and a customized, proprietary billing system for patients’ insurance providers and legal settlements. Over the past six years, LESS Institute has been expanding its network of surgeons and its geographical footprint across the United States. However, the company required additional capital to pursue its growth plans. Despite being a profitable and expanding business, LESS Institute had difficulty securing traditional bank financing, because accounts receivable from medical settlements are generally deemed ineligible for financing by most traditional lenders. US Capital performed a detailed analysis of the proprietary billing systems and processes of LESS Institute to better the company’s operations. This allowed US Capital to then structure and provide a customized and scalable $30 million line of credit for LESS Institute. US Capital has a strong track-record in providing best-in-class financing for middle market businesses across the United States, with a special focus on speed, structure, and efficiency of execution. 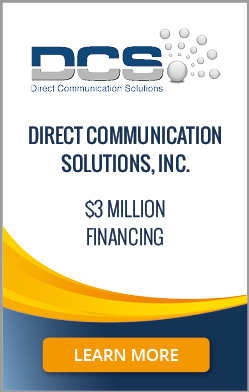 Direct Communication Solutions, Inc. (“DCS”) is an industry-leading developer of wireless technology solutions. The company serves customers across all verticals within the emerging machine-to-machine (M2M) industry. Headquartered in San Diego, California, DCS evolved from a hardware distribution outlet into a full-service M2M solution provider working with the most trusted names in the industry, including AT&T, CalAmp, Sprint, Taoglas, T-Mobile, Verizon, Telit Wireless, Telus Mobility, and 7 Layers. DCS needed to buy out an existing partner in the business, as well as to put in place a more expansive financing structure. The company’s financing covenants and facility size were restricting its ability to pursue growth plans. New, well-structured, scalable financing would increase DCS’s ability to execute on its ongoing strategy of developing exciting new products and services for the industry, while accomplishing the company’s more immediate business objectives for the year. US Capital provided a $3 million line of credit for this industry-leading developer of wireless technology solutions. US Capitalwas able to leverage the accounts receivable and inventory assets of the business in order to put in place a larger, less restrictive facility for the company. The financing also provided additional working capital for DCS to pursue new growth opportunities. This leading waste management and hauling company in the Midwestern United States provides turnkey solid waste removal and environmental management services to municipalities, individuals, and companies. To date, the company has helped in recycling over 20,000 tons of waste in the Midwest, and services over 40,000 customers. 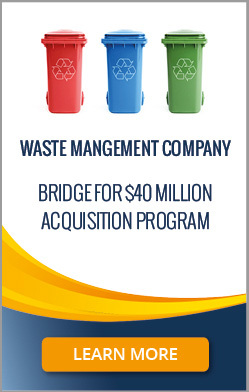 This successful waste management business had strategic plans to expand through a $40 million acquisition program. To pursue its roll-up strategy, the business required well-structured and timely bridge financing. It therefore approached US Capital for assistance. US Capital provided a bridge facility for the company to support its $40 million roll-up strategy. US Capital specializes in structuring and providing custom financing solutions for small and medium-sized businesses. In this case, US Capital provided the company with a cash flow-based bridge loan in under three weeks. The loan was custom structured, allowing the business to remain fully in compliance with its existing loan terms. 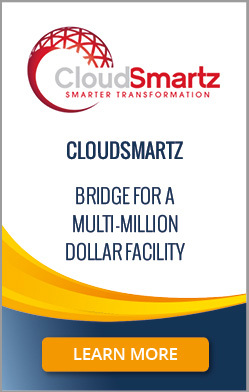 CloudSmartz, Inc. is an information technology and cloud services provider headquartered in Rochester, New York. The company is known for artfully applying technology as the empowering force behind the transformation of both start-ups and Fortune 500 companies. CloudSmartz serves local, national, and global organizations within the healthcare, finance, communications, education, and technology industries, providing clients with the most comprehensive and creative technology solutions to enable their businesses to thrive. CloudSmartz had strategic plans to further expand its Application Development and Managed IT Services offerings. To achieve this, the company needed to secure additional working capital and to put in place well-structured bridge financing that met its strategic needs. CloudSmartz approached the US Capital team for assistance. The US Capital team was able to provide a bridge loan to a multi-million dollar facility for this expanding IT and cloud service provider. Within one week of receiving the required information, the US Capital team succeeded in closing a subordinate term loan facility for the company. The facility was customized to provide CloudSmartz with the liquidity and flexibility it needed while it refocused the business on its growth strategy. 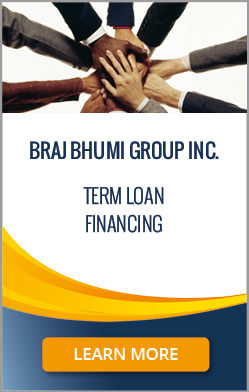 A registered California nonprofit, Braj Bhumi Group Inc. is a network of experienced professionals who provide a full range of pro bono financial, management, and strategic services for local and international nonprofits. Braj Bhumi supports a variety of good causes and services for the community, including sustainable farming projects, yoga communities, artistic and cultural events, and the distribution of free food, clothing, and medicine. Braj Bhumi approached the US Capital team for financing for the acquisition of a property near Sequoia National Park for a sustainable farming, artistic, and yoga community based on traditional "celestial thinking" and deep values-based living. However, this request for financing was more complex than usual because of the involvement of several separate organizations with tax exempt status, coupled with the absence of a personal guarantee. Despite these hurdles, the US Capital team was able to successfully structure and provide a term loan for Braj Bhumi, for the purchase of real estate in Badger, California. The US Capital team has a long history of backing small businesses and nonprofit organizations in the community through its financial expertise and best-in-class business lending solutions. 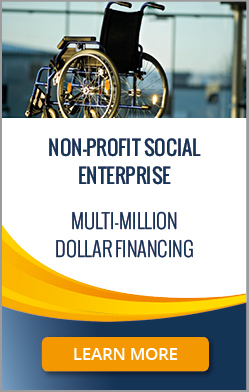 Its expanding Philanthropic Solutions group delivers expertise and a comprehensive suite of financing and advisory services to help institutions build and sustain their nonprofit missions. Chellino Crane, Inc. is a crane rental and operating business that services the oil refinery, chemical plant, power plant, and wind farm industries. Headquartered in Joliet, IL and in business for over forty years, the firm provides rental equipment such as hydraulic truck cranes and crawler cranes, together with supporting equipment and experts in the field to support, maintain, and operate its cranes. Chellino Crane was at an inflection point in its growth curve, and had developed a strong pipeline of new projects and opportunities. The enterprise needed bridge financing to acquire additional equipment to meet the needs of its customers and execute on these opportunities. It therefore approached the US Capital team for term loan financing. 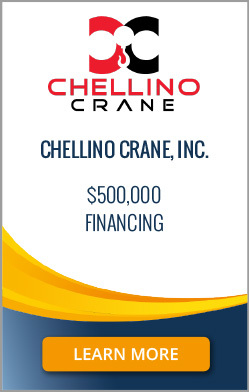 In less than five days, the US Capital team was able to provide a $500,000 bridge loan for Chellino Crane. US Capital has a strong track-record of providing best-in-class financing for small to lower middle market businesses with a special focus on speed, structure, and efficiency of execution. The US Capital investment Team was able to provide this bridge financing swiftly, so that Chellino Crane could purchase additional equipment as quickly as possible to execute on its new contracts. SMB Adviser is a rapidly expanding San Francisco-based publishing and marketing platform for small and medium-sized enterprises. 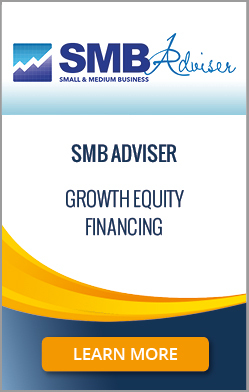 With its unprecedented access to financial service providers for smaller businesses and their research, analysis, and thought leadership, SMB Adviser is able to provide up-to-date, informative, and original content for smaller enterprises. In doing so, SMB Adviser adheres to strict editorial standards of accuracy, independence, and impartiality. The small and lower middle market has been growing rapidly in the United States. This offers tremendous opportunities for SMB Adviser, which provides up-to-date business intelligence specifically for this underserved market, including the latest lending rates and market transaction information under $75 million. However, the business needed growth capital to support the development of its recently launched publishing platform, SMBAdviser.com, and to further expand its range of marketing and business intelligence services. 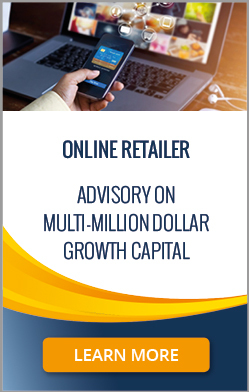 With the recent launch of SMB Adviser’s online publishing platform, the US Capital team decided to support the business through an initial Series A growth equity allocation, with the possibility of follow-on financing as the business continues to expand. This timely seed financing will be used by SMB Adviser to develop and bring to market exciting new products and services for small and medium-sized businesses. Based in Calgary, Alberta in Canada, Tora Ventures is a distributor of residential and commercial roofing materials. The company provides a wide variety of goods and materials for all aspects of residential and commercial roofing, including underlayment, waterproofing and insulation, weatherproofing, and drip edge and siding. Tora Ventures was looking for some additional working capital to sustain the growth of its two-year-old business. As an enterprise based in Canada, Tora Ventures was finding it challenging to locate sources of capital domestically. It therefore turned to US Capital for assistance. The investment team at US Capital structured and provided a $100,000 term loan scalable to $500,000 for Tora Ventures. The new debt financing was designed to support the continued expansion of this Canadian distributor of residential and commercial roofing materials. Capriati Construction Corp. is one of Southern Nevada’s leading general contractors in the construction industry, with over 30 years of construction experience and a vast portfolio of successfully completed projects. Headquartered in Henderson, NV, the firm provides the construction industry with high-quality services in public works and private construction projects ranging from $1 million to $70 million in value. Capriati Construction was licensed to do business in the states of Nevada, California, North Dakota, Rhode Island, Arizona, South Dakota, Texas, and Colorado. It was in the process of expanding its services to other Midwestern and Western states. With the residential real estate market continuing to improve, Capriati Construction needed additional capital to take advantage of new commercial opportunities in the sector. The firm was therefore seeking working capital and growth capital to expand its private project pipeline. 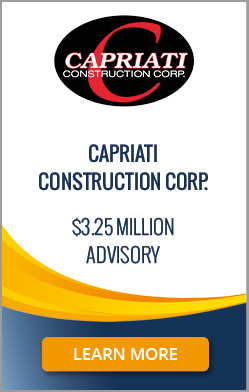 The US Capital team was able to leverage Capriati Construction’s accounts receivable assets to help the business secure a $3.25 million line of credit. This well-structured, timely financing was designed to support the continued expansion of this leading general contractor in the construction industry. 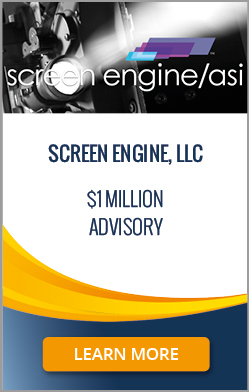 Based in Los Angeles, CA, Screen Engine, LLC is a full-service market research company serving the television and film industries. The firm offers recruited audience test screenings, group studies, material testing, pre-release movie tracking, and other services. Screen Engine focuses its approach across the four screens of media: theatrical movies, television, computer, and mobile. This fast-growing Los Angeles-based company needed to refinance its existing debt, as well as secure additional working capital to support its accelerated expansion. Screen Engine was drawn by US Capital's capital markets expertise for small businesses experiencing significant growth, and approached the firm for assistance. US Capital structured and advised on a scalable $1 million term loan for Screen Engine, backed principally by the cash flow of the business. The US Capital team was thereby able to successfully help refinance the firm’s existing debt and provide much-needed capital to support the firm’s accelerated growth. 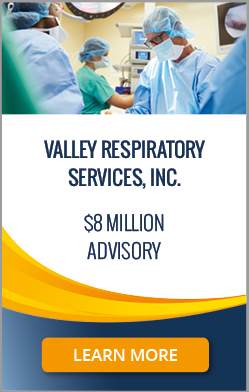 Valley Respiratory Services is an Arizona-based provider of best-in-class respiratory products and services. Established in 2006, the business soon grew to 27 employees and two offices in Mesa and Sun City, AZ. It now offers a complete line of respiratory products and services, including licensed respiratory therapists, home respiratory equipment, early intervention and patient education programs, comprehensive patient assessment, and regular respiratory progress visits. This expanding Arizona-based firm in the healthcare equipment and services industry was expanding quickly, both organically and through strategic acquisitions, and it required financing to help facilitate its ongoing growth. In particular, the firm needed to consolidate and refinance its existing debt, as well as to secure additional capital to fund strategic acquisitions. It approached the US Capital team for assistance. The US Capital team advised on an $8 million term loan and line of credit for Valley Respiratory Services. Following a detailed financial analysis of the business, US Capital was able to help refinance the firm’s existing lenders and structure an expansive, scalable facility, thereby providing additional availability to fund further growth through strategic acquisitions. 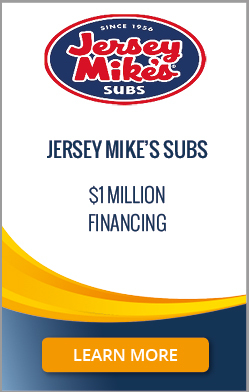 Founded in 1956, Jersey Mike’s Subs is a nationwide restaurant chain headquartered in Manasquan, New Jersey. The brand is known for its fresh sliced/fresh grilled subs and its commitment to exceptional customer service. A 2014 Technomic report ranked Jersey Mike’s in the top five fastest-growing restaurant chains with sales above $200 million. The company currently has 1,300 locations open and under development nationwide. With its compelling brand and strong nationwide appeal, Jersey Mike’s nearly doubled in size over the past three years. One of the company’s existing Florida franchisees was looking to expand the franchise further by opening an additional location, but needed small-business financing to achieve this. The franchisee approached the US Capital team for assistance. The US Capital team successfully provided a scalable $1 million facility backed by the US Small Business Administration for this Florida-based franchisee. Despite the small size of the franchisee’s business, US Capital was able to put in place SBA-guaranteed financing for the enterprise after analyzing its cash flows, examining the principals’ individual financial statements, and evaluating the growth projections of the new location. Located in Australia, this digital media and marketing company is a privately owned business that forms part of a global group. The company specializes in enabling web and mobile publishers to increase their audiences and monetize their content. In the fast-growing digital media and technology sector, Australia has been experiencing an explosion of demand for content and applications, as consumers continue to seek out "smart experiences" in the most affordable and immediate ways. As such, the company had been expanding rapidly and now needed a more suitable financing structure to support its ongoing growth. However, it is generally challenging for most lenders in the United States to refinance a company located in Australia, let alone a service business abroad. 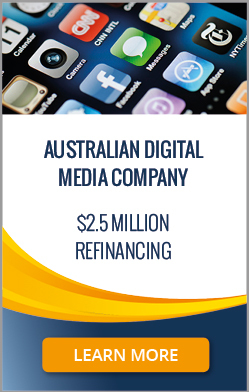 Despite the obvious challenges, the US Capital team further expanded the reach of its Capital Markets division into emerging markets by successfully structuring and providing a $2.5 million accounts receivable line of credit for this Australian digital media business. US Capital was able to leverage the receivables of the company to provide optimal, well-structured refinancing that met the client’s strategic needs. Bushman Organic Farms, Inc. ("Bushman Organics") is a privately owned company located in Fort Atkinson, Iowa that specializes in manufacturing and distributing organic soy products for the poultry and dairy industries. The company has 20+ years of experience in organic farming, marketing, and distribution. Bushman Organics markets its quality organic feeds throughout the United States and Canada. With demand for quality organic products rising sharply across the United States and Canada, Bushman Organics was poised for expansion. To support its growth plans, the company needed to put in place a more suitable financing structure for the business and to secure additional working capital to purchase inventory. This was no easy feat because of the structure of the business, which included 27 other subsidiary and related companies. After looking at this transaction from a global perspective and analyzing the 27 other entities owned by the principal, the US Capital team successfully provided a $5 million accounts receivable and inventory line of credit for Bushman Organics. 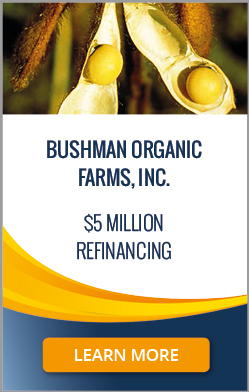 The line of credit, designed to meet the client’s strategic needs, was scalable as Bushman Organics continues to grow through acquisition or organic expansion. The client was very satisfied with the result. World of Beer is a rapidly expanding franchise of craft beer bars with over 250 locations nationwide. Founded in 2007 in Tampa, Florida, World of Beer offers over 500 craft brews from more than 40 different countries. The love for craft beer and a passion for creating a friendly, welcoming atmosphere remain the chain’s founding philosophy, with constant innovations to widen appeal. 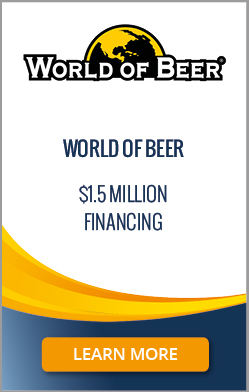 World of Beer required new debt financing to open additional locations in North Carolina, while also providing liquidity to renovate the current franchise locations of the company. The business approached the US Capital team for assistance. The US Capital team successfully provided a $1.5 million term loan to support the ongoing growth of this rapidly expanding nationwide chain of beer taverns. US Capital was able to leverage the current assets of the business and evaluate the growth projections of the new locations in structuring and providing this financing for the business. Headquartered in Oakland, CA, November Research Group, LLC ("November Research") is a global leader in drug safety and pharmacovigilance solutions. The firm provides a complete spectrum of software and services in pharmacovigilance to the pharmaceutical and life science industry. Its services include drug safety business process transformation, solution selection, system implementation and upgrade, custom software development, and post-implementation support. In the previous year, the FDA’s Center for Devices and Radiological Health had selected November Research’s PRIMO software platform as the product vigilance software solution to replace its aging MAUDE system. November Research had also launched an aggressive campaign to expand its products and services into the Japanese market. The business was at an inflection point in its development and required additional capital to take advantage of upcoming new growth opportunities. The US Capital team successfully structured and provided a $1 million line of credit together with a $500,000 term loan for the company. 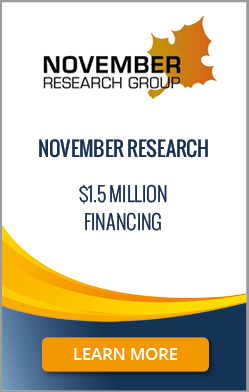 This new debt financing was specifically designed to support November Research’s ongoing domestic and international expansion, as the firm moves into the next phase of its business growth. Headquartered in the Northeast United States, this enterprise is a diversified business holding company for promising high-growth enterprises. It has a number of operating subsidiaries, including a service provider and two component manufacturers for the aerospace industry. 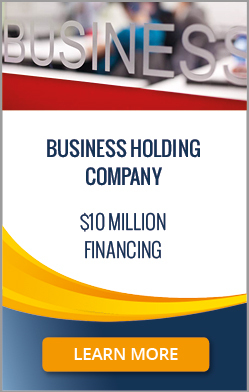 The holding company required additional debt financing for general business purposes and to provide liquidity for new strategic targeted equity investments. However, the holding company’s operating subsidiaries already had maximum leverage, and any additional leverage in those businesses would trip existing loan covenants. The company therefore turned to the US Capital team for assistance. The US Capital team was able to use the holding company’s stock as collateral for additional leverage. This allowed US Capital to provide $10 million in additional term loan financing for the holding company, while the company’s existing operating subsidiaries remained fully in compliance with their respective loan terms. In addition, the new debt financing was specifically designed to scale as the holding company continues to expand through further acquisition or organic growth. Tectura Corporation is a leading technology services firm that provides consulting and system implementation products and services to businesses worldwide. The company is a Microsoft Dynamics partner, and is the leading Microsoft ERP and CRM provider in most markets that it serves. Founded in 2001, Tectura Corporation is headquartered in Pleasanton, California, and has offices in more than 20 countries. Tectura Corporation, which owns subsidiaries around the world, was looking to refinance its business. The firm initially engaged the US Capital team to underwrite a multi-million dollar refinancing of its debt structure. Upon the US Capital team's diligence of the company, both parties came to the conclusion that the best route for Tectura Corporation was to proceed with the sale of its North American Microsoft Dynamics business. 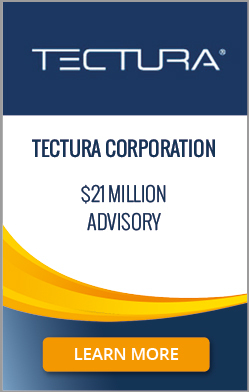 US Capital's financial advisory services culminated in the $21 million sale to UXC Eclipse of Tectura (USA) LLC, Tectura (AES) LLC, and Tectura (Canada East) Limited, three wholly owned subsidiaries of Tectura Corporation. As a leading provider of intelligent business solutions, UXC Eclipse recognized the synergy between the two organizations, and entered into an agreement to acquire these North American subsidiaries. Naviss, LLC is a leading nationwide provider of vehicle service contracts. Its vehicle protection plans safeguard customers from costly repairs, above and beyond manufacturers’ standard auto warranties. The company’s goal is to provide the best available vehicle coverage for customers at affordable prices. To that end, Naviss offers a variety of plans that fit most vehicles and budgets. These protection plans cover the cost of repairs, parts, labor, and sales tax for repairs. Naviss was at a very exciting stage in its growth, with strategic plans to increase the range of services it offers to customers across the United States. The company planned to provide customers with more flexible payment options and additional benefits. Some of these benefits included free roadside assistance, paint less dent repair, wheel and tire protection, oil change packages, and guaranteed auto protection. Naviss approached the US Capital team for growth capital to help finance these initiatives. The US Capital team successfully structured and provided a $3.2 million growth-capital term loan for this expanding nationwide enterprise. 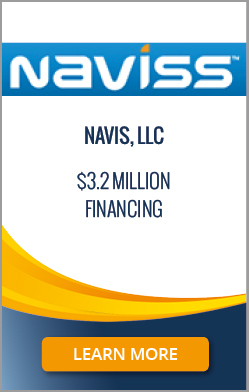 US Capital was able to provide this funding by completing an objective third-party analysis and evaluation of the assets of Naviss, the historical financial performance of the business, and the company’s growth potential and ability to overcome the risks related to the warranty industry and to a business focused on direct sales to consumers. AdJuggler, Inc. is a privately held software-as-a-service company that operates in the online advertising sector. The company offers an exchange media program that helps advertisers and publishers meet in a bidding marketplace, as well as an advertising management program that allows users to store campaigns and product management data in the firm’s cloud storage database. AdJuggler serves more than 190 companies worldwide, and has nearly 70 million unique users each month. 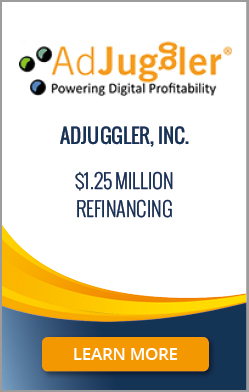 AdJuggler required additional working capital to support its ongoing growth. In particular, the management team was searching for a new, flexible lending partner that understood and appreciated AdJuggler's business model and the unique elements of the industry the firm serves. AdJuggler therefore approached the US Capital team for help in securing flexible and scalable financing. Many traditional bank lenders lack the expertise and experience to fund certain specialized enterprises, such as online advertising and software-as-a-service companies. They are therefore able to offer only limited financing flexibility. By contrast, the US Capital team was able to successfully provide a flexible and scalable $1.25 million credit facility for this promising hyper-growth enterprise. Tandon Digital, Inc. is the holding company of SDJ Technologies ("SDJ"), a leading innovator, developer, and manufacturer of high-performance flash and other memory storage products. Headquartered in Simi Valley, CA, SDJ distributes memory storage products to a variety of commercial customers. SDJ distributes these products under the brand name Monster Digital®, a trademark licensed from Monster, Inc., a world leader in the manufacturing of high-performance headphones, connectivity solutions, and consumer electronics accessories. Monster Digital® products are recognized for their high-performance, superior quality, and reliability. As a result, SDJ was experiencing explosive growth and needed a working capital line of credit to help meet demand for its Monster Digital® products from customers such as Fry's Electronics, Rite Aid, and Staples. The new facility, if it could be secured, would provide the additional working capital the company needs to expand its distribution channels. 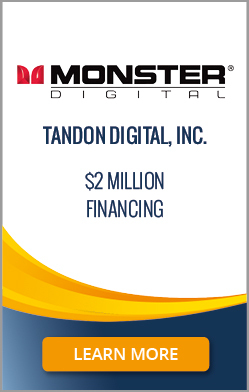 The US Capital team successfully provided a $2 million credit facility for Tandon Digital, to support SDJ’s rapid growth. The US Capital team always looks carefully at all aspects of a business to provide intelligently structured, custom financing that meets the specific needs of its clients. In this case, the firm structured and provided a $2 million accounts receivable line of credit for Tandon Digital, designed to drive revenue growth for the upcoming holiday season and help SDJ surpass its projections this year and over the coming years. ClickXChange, LLC was formed as a holding company for the strategic acquisition of ClickXChange, a leading performance-based online affiliate and direct marketing services provider based in Encino, CA. Through its proprietary websites, ClickXChange generates thousands of organic leads each day in multiple verticals. The business estimates that it reaches 50 million unique consumers each month through its ClickXChange network. The holding company needed to secure financing to be able to acquire ClickXChange’s lead-generation business and its coupon marketing group, and also to provide additional working capital to expand the ClickXChange business by entering new markets. While ClickXChange represented a highly attractive acquisition target, there were risks associated with the acquisition and with the changes to management in a business focused on new-growth areas in the tech industry. 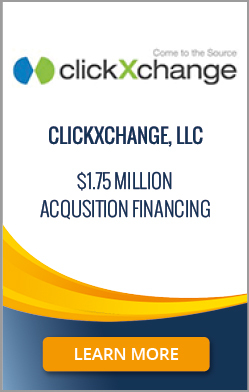 The US Capital team structured and provided $1.75 million in acquisition financing for ClickXChange, LLC. The new financing was made up of a $750,000 accounts receivable line of credit and a $1 million term loan for the acquisition of the two strategic targets. US Capital was able to identify and mitigate the risks associated with the acquisition. This allowed the US Capital team to successfully provide acquisition capital in an industry that is otherwise difficult to finance. Advanced Health Sciences, Inc. ("AHS") is an innovative and expanding Florida-based health care research and technology group. Its team of researchers, biochemists, and molecular biologists develop next-generation products for specific targeted health concerns. All AHS products are manufactured in an FDA and cGMP (current Good Manufacturing Practices) facility in the United States to ensure outstanding quality. The US Capital team had previously provided an accounts receivable and inventory line of credit scalable to $1 million for AHS’s sister company, Ramard, Inc. Headquartered in Miami Beach, FL, Ramard is an expanding developer of high-quality equine and canine nutraceutical health care products. Following this successful financing, the group returned to US Capital for additional financing to support AHS’s growth. The US Capital team successfully structured and provided a $750,000 growth capital term loan for AHS. 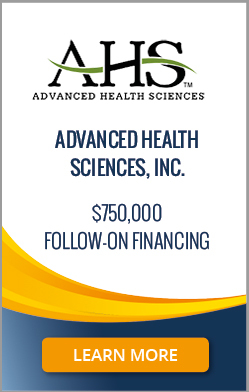 The new financing allows AHS to bring a range of new cutting-edge natural health care products to market, including a varicose vein product, a migraine product, a respiratory product for sufferers of asthma and chronic obstructive pulmonary disease, and a digestive product to battle Celiac disease, Crohn’s disease, and diverticulitis. 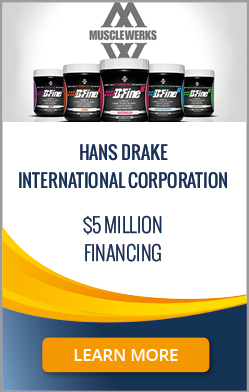 Founded in 2004 and headquartered in Irvine, California, Hans Drake International Corporation ("Hans Drake") is a leading producer and distributor of nutritional products for enhanced workout performance and weight loss. The company produces a growing range of quality branded product lines, including its own clinically tested weight management compound, pre-workout drink, sugar free creatine powder, and weight loss supplement. Hans Drake had been experiencing increased demand for its product lines from new domestic and international retailers and distributors. The company needed intelligently structured, scalable financing designed specifically to help the company increase its inventory and fulfill new orders. But with a hundred percent of the firm’s receivables with a single customer in Australia, this represented a challenging situation for most traditional lenders. The US Capital team successfully provided a $1.5 million accounts receivable line of credit scalable to $5 million for Hans Drake. Despite concentration risk combined with foreign customer risk, US Capital was able to provide a scalable line of credit that not only leveraged Hans Drake’s foreign receivables but also secured the line for receivables expected to be generated through new US customers. Importantly, the US Capital team was able to design a debt facility that did not require a personal guarantee. This expanding firm aims to provide best-in-class services for oil and gas exploration and production companies in the Rocky Mountains. The firm’s wide range of services include the completion of oil and gas wells, well maintenance and workovers, and the provision of specialized equipment required to service wells. The company’s management team, which has extensive experience in the oil and gas well services sector, was looking to purchase machinery and equipment to begin operations. The firm also needed financing to support its growing working capital needs during the early stages of operation. The company turned to the US Capital team for assistance in structuring, underwriting, and providing optimal debt financing. 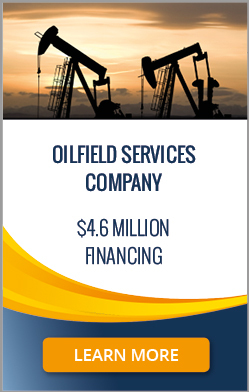 The US Capital team structured and provided a $4.6 million machinery and equipment term loan for this promising oilfield services firm, thereby further extending its financing record within the energy industry. US Capital not only successfully provided funding for the company but also securitized machinery and equipment only, thereby leaving other assets available for leverage. 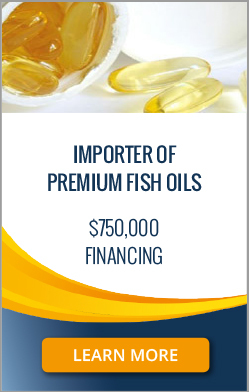 Headquartered in New York City, this expanding firm imports and distributes pharmaceutical-grade omega-3 and other high-quality, 100% natural fish oils for wholesale and retail distribution throughout the United States, with sales primarily to pharmaceutical companies and health product retailers. The company also supplies soft-gel caplets and joint creams as finished products. The company had been expanding quickly, both in terms of the range of high-quality, branded products it was distributing as well as the reach of its products across the United States. The firm approached the US Capital team for financing to increase its inventory levels and support its growing working capital needs. The US Capital team provided a $750,000 scalable accounts receivable and inventory line of credit for this expanding importer and authorized distributor. This was possible through an objective third-party analysis and evaluation of the company’s inventory, the historical financial performance of the company, the experience of its management team, the credit of its customers, and the growth potential of the business. Importantly, US Capital was able to design a debt facility that did not require a personal guarantee. Chantilly BioPharma, LLC is a growing, early-stage Virginia-based specialty pharmaceutical company. The company develops, manufactures, and markets generic pharma¬ceuticals and controlled substances using oral drug delivery techniques, including taste masking and controlled release platforms. 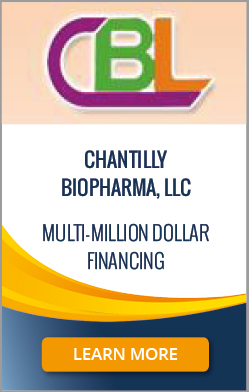 Chantilly BioPharma holds over 50 issued and 11 pending US patents and over 100 international patents and applications that cover its unique drug delivery methods. Chantilly BioPharma had been developing, manufacturing, licensing, and marketing proprietary technologies and products for a wide range of pharmaceuticals. As a result, the company was expanding its business in both the retail and non-retail segments. It needed financing for capital expenditure and to support its growing working capital needs, and approached US Capital for help. The US Capital team structured and provided custom multi-million dollar term loan financing for the company. US Capital was also able to expedite the timeline to close upon completion of its appraisal report on the business. In providing this expansive and optimal financing for Chantilly BioPharma, the US Capital team helped ensure the company’s continued business growth. Headquartered in the Greater Seattle Area, Washington, OSW Equipment & Repair, Inc. manufactures and repairs products for the construction, transportation, and mining industries. The company focuses on a variety of products from environmental goods to keep waterways clean to dump trucks, dump trailers, concrete container boxes, water tanks, flatbeds, and jobsite offices. The company also sells and leases its equipment. OSW Equipment & Repair was locked in an inappropriate financing structure with Union Bank, through a note that Union Bank had previously acquired from Frontier Bank—a bank taken over by the FDIC. The company needed to retire its existing loan with Union Bank, and then also to secure additional working capital to support its ongoing growth. Acting on behalf of OSW Equipment & Repair, the US Capital team successfully negotiated a favorable payoff with Union Bank. US Capital then brought in two co-lenders to provide a well-structured, scalable facility for the company, which comprised an accounts receivable line of credit and a machinery and equipment term loan. 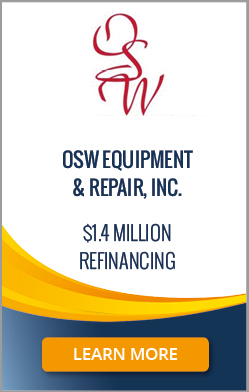 The US Capital team, the lender of record on this new financing, co-invested in a senior subordinated position to provide OSW Equipment & Repair with an overall loan facility of $1.4 million. 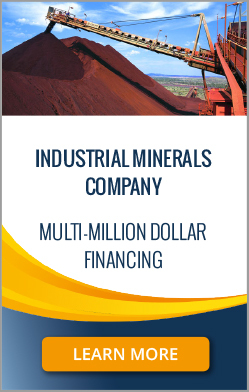 This expanding, privately held corporation is engaged in the mining, processing, marketing, and distribution of commercial-grade minerals in North America. The company sells its various standard grades and custom blends of minerals to customers throughout the West, Midwest, and Canada. The company had strategic plans to expand its processing capabilities and take advantage of new market opportunities, not only in the United States but also in Asia. It needed new financing to pay down a seller note and support its growing working capital needs. It approached the US Capital team for a scalable accounts receivable line of credit and an equipment term loan. The US Capital teamprovided an initial multi-million dollar accounts receivable line of credit for the business. The new financing by the US Capital team was used to support the corporation’s growing working capital needs and help finance a management buyout. US Capital looks forward to providing additional financing to further support the company’s growth. Serving as lead arranger, the US Capital team was able to arrange a $4.5 million senior secured credit facility for Speck. The credit facility served to refinance Speck's previous line of credit, and included an inventory revolver and an AR line of credit for both domestic and international assets. Working with its many affiliates, the US Capital team successfully structured and arranged an optimal financing arrangement for Speck. Established in 1993, Orient Direct, Inc. is an innovative California-based electronics design and development firm. The company offers cutting-edge, turnkey electronics product engineering, design, and production—especially in the audio, video, and voice conferencing space. Headquartered in Mountain View, California, the company is located in the heart of the tech industry in Silicon Valley. With access to an enviable level of talent for engineering, development, and industrial design, as well as advance knowledge of new hardware developments, Orient Direct was expanding. However, the company needed additional working capital to build inventory to meet increased customer orders and implement new marketing initiatives. It therefore approached the US Capital team to place a term loan facility. The US Capital team provided almost $1 million in working and growth capital for this expanding Silicon Valley business. 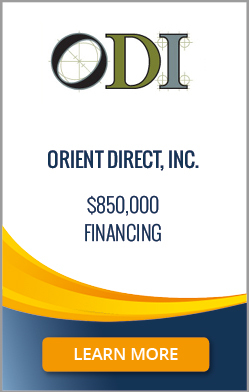 Orient Direct used this timely financing to increase its inventory, meet its rising working capital needs, and support its ongoing expansion. Established in 2009, this Florida-based non-profit social enterprise seeks to create meaningful employment opportunities for people with disabilities, including service disabled veterans and people who are deaf, visually impaired, or have a physical or mental disability. The company provides drug and alcohol testing equipment to over 200 institutions and state agencies, designing products to meet a wide variety of specification needs. In 2011, the largest manufacturer and supplier of this non-profit social enterprise was acquired by a private company. After the acquisition, the private company donated the entire manufacturing business to the non-profit. This resulted in one of the largest partnerships between a for-profit and a non-profit, with this Florida-based social enterprise poised to become a major manufacturer of drug testing equipment. To support its current and future working capital needs, the non-profit needed to place a scalable accounts receivable line of credit. One hundred percent of the non-profit’s receivables were with government agencies, with all payments received through a single government entity. The situation was problematic for most traditional lenders—because of the non-profit structure of the enterprise, the concentration of receivables, and the government account debtors. Nonetheless, the US Capital team was able to structure and provide a multi-million dollar revolver to support the company’s continued growth. 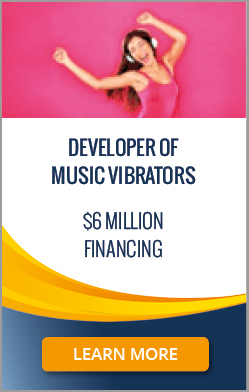 Founded in 2006, this expanding enterprise develops, markets, and sells an innovative range of personal massagers and fully customizable self-pleasure devices. The company is the creator of a music-driven pleasure product that allows users to feel the music by connecting to their smartphone or other music player. The company’s website allows users to anonymously share playlists and experiences. With sales ready to escalate following TV celebrity endorsements and the company’s home-party business model, this expanding firm required additional working capital to support its current and future inventory needs. The challenge was that the company’s ratio of inventory to accounts receivable was "upside down." Companies with significantly higher inventory than accounts receivable are generally declined by traditional lenders. Inventory and accounts receivable lenders will usually advance financing principally on accounts receivable, and only modestly on inventory based on trailing sales, this being an indicator of inventory credit strength for inventory advances. US Capital is one of the very few lenders in the marketplace that can close a deal where the ratio of inventory to accounts receivable is "upside down." In this case, the US Capital team provided an accounts receivable line of credit scalable to $5 million for the firm, together with a $1 million inventory line of credit. 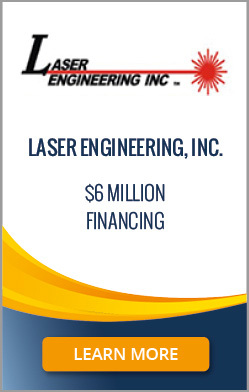 Founded in 1981, Laser Engineering is an innovative US manufacturer of advanced laser technology. The company designs, manufactures, sells, and services the LEI Ultra MD™ CO2 laser system and a complete line of accessories for multi-specialty use in neurosurgery, spinal surgery, ENT, gynecology, urology, and other disciplines. Headquartered in Franklin, Tennessee, Laser Engineering is a privately held company with over twenty years of surgical laser experience. Laser Engineering had recently received FDA clearance for its new proprietary flexible fiber (UltraLase CO2 Fiber), which can be used with most CO2 lasers and offers unmatched precision in surgery. Based on rising market demand for its newly released FDA-approved product, Laser Engineering recognized the need to increase working capital to meet increased customer orders. The company therefore approached the US Capital team to place a scalable accounts receivable line of credit. The US Capital team successfully structured and provided a $6 million multi-tranche credit facility for Laser Engineering. This comprised a $1 million bridge financing round, followed by a $5 million accounts receivable line of credit. The initial bridge financing was designed to support Laser Engineering’s working capital needs as the company continues to scale. The new, expansive credit facility allowed the company to pursue its strategic growth initiatives while increasing manufacturing capacity and production of its new product line. Since 1989, this expanding Ohio-based business had been successfully acquiring and integrating well-managed office and wide-format imaging technology solutions companies that are leaders in their local markets across North America. The company’s three main business lines include printing equipment maintenance and service, printer equipment leasing with third-party financing, and sales of printers, scanners, copiers, and other imaging equipment. Through its strategic acquisitions, the company had grown to become one of the largest value-added resellers in the market. The business needed a financing structure that would allow it to keep growing while servicing its existing debt. It had plans to make further strategic acquisitions, but needed funding to refinance its existing debt and to support its current and future working capital and growth capital needs. 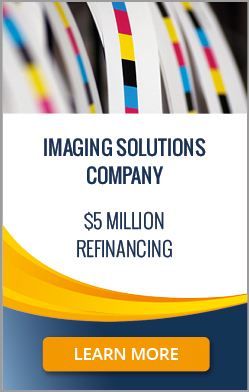 The US Capital team successfully structured and provided a $5 million credit facility for this expanding business in the North American imaging industry. This consisted of a $1 million accounts receivable line of credit and a $4 million growth-capital term loan. The new financing package allowed the company to service its existing debt while continuing to take full advantage of upcoming strategic growth opportunities in its sector. MZF-Bayer, Inc. is a growing California-based business in the automotive transmission systems industry. The company is an authorized agent of the German engineering company ZF Friedrichshafen AG and provides Mercedes Benz, BMW, Audi, Porsche, Land Rover, and Jaguar transmissions built to factory specifications. Headquartered in Burlingame, CA, the company offers the highest quality parts and service available in the business. MZF-Bayer now had nearly forty years of experience servicing, repairing, and rebuilding best-in-class automotive transmissions. The company was growing, but needed to refinance existing debt and secure working capital to support its current and future needs. 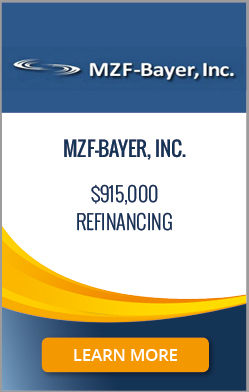 MZF-Bayer approached the US Capital team initially to refinance a seller note for $500,000. The US Capital team secured a $915,000 term loan for this growing California-based automotive business. US Capital was able to refinance not only the seller note but also other high-cost debt at a low interest rate and longer amortization, thereby improving MZF-Bayer’s cash flow and positioning the company for further growth. Headquartered in Oklahoma, this growing oilfield services firm provides work-overs and construction for oil and gas wells, completions, acid services roustabouts, equipment transportation services, and water services. Operating in several locations in the US, the company has monthly sales in excess of $3.5 million and employs hundreds of talented workers dedicated to the company’s goal of being the best service business in the industry. This expanding business needed additional financing to support a management buyout and provide working capital for growth. The company approached the US Capital team on account of US Capital's flexibility and ability to structure complex transactions in a short window of time. The US Capital team looks at every aspect of a business to design optimal and custom financing solutions for all its clients. In this case, the US Capital team negotiated with the company’s current lender to increase availability on its existing line of credit. Upon procuring an audit and appraisal of the company, the US Capital team was able to structure and provide an expansive financing package for the business, which comprised a $5 million accounts receivable line of credit, a $5 million bridge term loan, and a $12 million machinery and equipment term loan. Founded in 2007, Ramard is an expanding developer and distributor of high-quality nutraceutical health care products for animals and humans. Headquartered in Miami Beach, FL, the company develops and distributes its own line of quality equine, canine, feline, and human FDA-approved health care products. Ramard had established itself as a brand name for joint and digestive equine products used by leading trainers for nine different national Olympic equestrian teams, Triple Crown contenders, top show horses, and veterinary clinics worldwide. The company was expanding its operations, and needed additional working capital to support its current and future inventory needs. 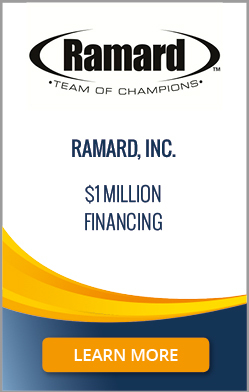 The US Capital team provided a $300,000 accounts receivable and inventory line of credit that is scalable to $1 million for Ramard. US Capital looks at every aspect of a business to design optimal and custom financing solutions for all its clients. In this case, the US Capital team arranged a scalable line of credit for the company, but also began exploring the possibility of an additional growth-capital term loan for the business. Seesmart develops and manufactures its own collection of high-quality, energy-saving LED lighting products. Headquartered in Simi Valley, California, the company delivers its products through an international network of authorized dealers and distributors. Customers include Fortune 500 companies, government agencies, retail stores, lighting supply companies, schools, industrial manufacturers, and homeowners. Seesmart had experienced several years of strong growth. The company now required additional financing to support its continued expansion. Without sufficient working capital, Seesmart was unable to meet increased demand for its energy-efficient LED lighting products, and was incurring additional costs in order to meet customer deadlines. 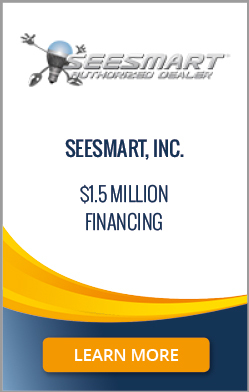 To support the company’s ongoing expansion, the US Capital team successfully put in place a scalable $1.5 million accounts receivable line of credit for Seesmart. With this new facility, Seesmart was able to increase its annual rate of growth still further, while significantly reducing its operating costs. Mesa Pharmacy is a growing California-based pharmaceutical compound manufacturer. Headquartered in Irvine, the company is a wholly owned operating subsidiary of Pharmacy Development Corp., established in 2007 to develop an alternative to typical oral medication for pain management. Working with California-based physicians for industrial pain management, Mesa Pharmacy had successfully formulated prescription-strength topical medication as an alternative to commonly used oral medications. The company was ready to take its products to market but was locked in an inappropriate financing structure, which was hindering its growth. It needed to retire existing senior debt and locate additional working capital for expansion and market entry. 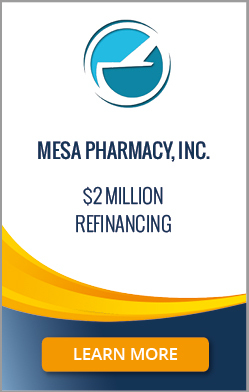 The US Capital team successfully arranged $2 million in financing for Mesa Pharmacy through a sale of its medical receivables within the California workers’ compensation industry. The US Capital team's innovative and pragmatic underwriting solutions and its in-depth understanding of medical receivables allowed Mesa Pharmacy to retire its existing senior debt and secure the working capital it needed to fund growth. Headquartered in California, the company designs and distributes bicycle components and accessories throughout the United States and abroad. Its products include custom wheels, high-quality suspension designs, bicycle forks, and carbon frames. The company also offers a wide range of clothing, accessories, and branded goods. It distributes its award-winning products directly to independent bike retailers and through an international network of wholesale distributors. This California-based business needed additional working capital to support its rapid domestic and international expansion. It approached US Capital to place a scalable accounts receivable and inventory line of credit to support its growing working capital needs. 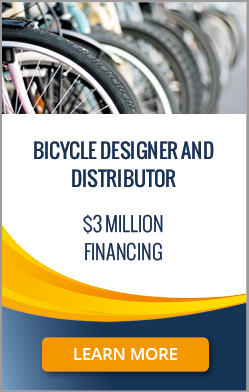 The US Capital team successfully secured a scalable $2 million line of credit for this leading bicycle designer and distributor, together with an additional $1 million term loan to fund growth. The new financing provided the company with the working capital it needed to expand into foreign markets and pursue its domestic growth plans. Founded in 2000 and located in Round Rock, Texas, Electronic Polymers Newco, Inc. develops low-cost polymerized materials and voltage suppressors for today’s powerful smart phones, automotive electronics, and other applications with high electronic content. The company’s new technology for controlling the negative effects of electrostatic discharge on sensitive electronic components helps resolve an issue that has been estimated to cost the global electronics industry as much as $84 billion in annual product losses. Electronic Polymers Newco was at an exciting stage in its development. It had pioneered a new technology at a lower cost, profile, and footprint than competing products. The time had come for the company to move from an R&D facility to a manufacturing facility, and it approached the US Capital team for assistance. 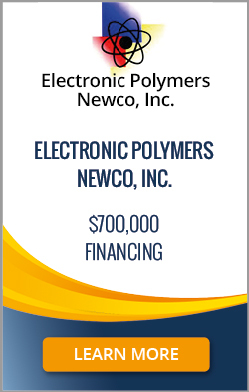 Although Electronic Polymers Newco was a pre-revenue business, US Capital was able to arrange a $700,000 machinery and equipment term loan to support the next stage of the company’s growth. The US Capital team's in-depth understanding of Electronic Polymers Newco’s fixed assets, its business model, and the potential market helped counterbalance the lack of cash flow and debt service in the business at this early stage in its history. By securing sufficient financing for this pioneer in the electronics industry, the US Capital team was able to help it commercialize its new technology. 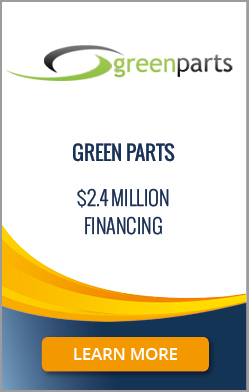 Headquartered in Atlanta, GA, Green Parts International, Inc. (GNPT.PK) is a recycler of automobiles and appliances. By utilizing state of the art recycling equipment, Green Parts salvages and reclaims raw materials, such as steel, aluminum, and copper. The company supplies its raw materials and parts to manufactures in the United States, China, Korea, and India. Green Parts International's "green" approach to total recycling not only helps the environment, but also offers tremendous profit potential. The company was expanding, but was locked in an inappropriate financing structure. It approached the US Capital team for help to refinance existing business debt and fund its growing working capital needs. The US Capital team arranged a $2.4 million term loan for Green Parts International, which was secured by the company's real estate and equipment. By creating an optimal financing structure for Green Parts International that appreciated the company's unencumbered collateral and real estate, the US Capital team was able to maximize availability for this expanding Atlanta-based business. Headquartered in Dallas, Texas, this growing company specializes in concrete and asphalt paving construction and repairs. 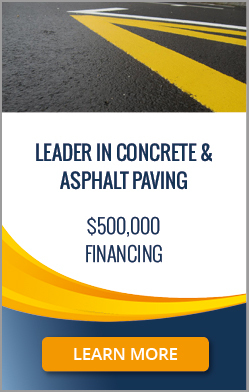 The company provides street and parking lot paving for various Dallas area municipalities and private clients. Its services also include recycled paving and repair, asphalt overlays, sidewalk and curb repairs, and seal coat and striping. Like many smaller businesses, the company was being hampered by a lack of sufficient working capital. In particular, it needed additional liquidity to pay off trade payables and current debt with other lenders. Businesses cannot run effectively without an adequate supply of working capital, and the company therefore approached the US Capital team for assistance. Following a careful analysis of the business and an appraisal of its collateral, the US Capital team successfully provided a $500,000 equipment term loan for the company. This supplied the company with the working capital needed to pay down current debt and continue growing the business. Established eight years ago, this California company creates, markets, and distributes fashionable baby care and parenting products, including luxury blankets, burping cloths, bibs, and hooded towels. The company distributes its products to over 60 countries internationally. 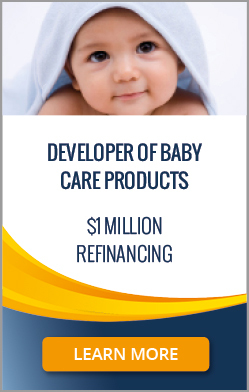 Like many smaller businesses, this developer of baby care products was expanding but was locked in an inappropriate financing structure with a commercial bank. This hindered its growth by preventing it from being able to fund new marketing and sales initiatives. The company needed to refinance its current debt with the bank and secure a more expansive line of credit to meet its growing working capital needs. By carefully analyzing the value of the company as a going concern, as well as the principal’s net worth, US Capital was able to successfully refinance the company by securing a $1 million revolving line of credit and term loan for the business. This provided the company with the financing it needed to expand its operations and grow its domestic and international distribution. Headquartered in Costa Mesa, CA, Morgan Drexen provides integrated support systems to US law firms by providing paralegal and automated administrative support. The firm offers a wide range of legal support services in diverse areas that include personal bankruptcy, debt settlement, personal injury, and mass tort litigation. 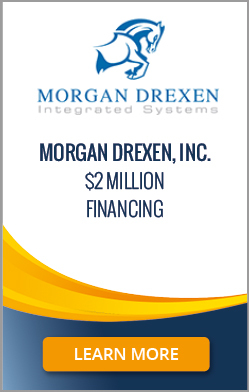 Morgan Drexen was providing its services to over 50 law firms nationally, and was expanding. It needed a scalable line of credit to support its growing working capital needs, and approached the US Capital team for assistance. Serving as lead arranger, the US Capital team secured a $2 million accounts receivable line of credit for the company, to support its ongoing growth. US Capital looks at every aspect of a business to design optimal and custom financing solutions for its clients. Often, it is able to increase availability through the discovery of credit enhancers and ways to mitigate credit risks. Headquartered in Elkridge, Maryland, Model Home Interiors, Inc. is a leading designer and decorator of award-winning model homes. For 30 years, the company has been delivering its outstanding model homes to builders and developers all over the east coast. The company combines its talent for design and its niche for marketing to produce stunning interiors for its clients. The business of Model Home Interiors was expanding, and the company needed a scalable line of credit to support its growing working capital needs. However, commercial banks had pulled out of the construction industry, and were declining businesses even with good financial performance. Model Home Interiors therefore approached the US Capital team for assistance. The US Capital team always examines transactions on a case-by-case basis, which allows it to fund transactions outside the "bankable box." 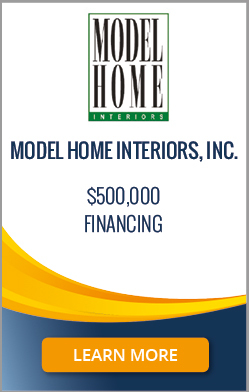 Through its collateral report on Model Home Interiors, US Capital was able to highlight the receivables eligible for financing, and then to secure a $500,000 accounts receivable line of credit for Model Home Interiors. This will be used primarily to support the company’s ongoing expansion. 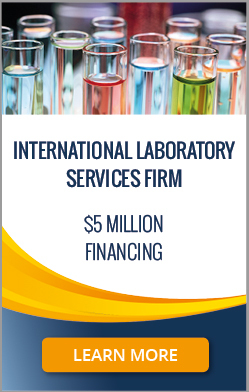 Founded in 1996, this expanding laboratory services firm provides clinical diagnostic testing services to thousands of clients in the US and abroad. A leader in the medical testing field, the company employs the latest innovations and techniques, with the objective of being the laboratory of choice for high quality, reliable diagnostic testing. The business of this international firm was expanding, with possible acquisition opportunities on the horizon. Like many smaller businesses, however, the company was locked in an inappropriate small and fixed financing structure, with limited availability and scope for growth. The company had a federal tax lien and payment plan that made the deal unattractive to commercial banks. The strict regulations surrounding its industry also rendered traditional "lock-box" arrangements impractical, adding still a further layer of complexity to the situation. The US Capital team successfully secured $5 million in financing for the company, 30% more than the company’s previous facility. This financing comprised a $4 million accounts receivable line of credit and a $1 million term loan to fund growing working capital needs and support expansion. Not only was the US Capital team able to secure scalable financing for this client, but it also removed the standard lock-box provisions usually required for a multi-million dollar line of credit of this type. This technology and services firm is the leading global provider of financial, legal, and corporate information management solutions that deliver secure technology and best-practice services to organizations worldwide. The company's products and services assist in the collection, management, and delivery of critical business information that enable informed decision making. Clients of the company include leading financial institutions, law firms, government entities, corporate departments, and Fortune 1000 companies across multiple industries. This leading international business required additional growth capital to expand its product offerings. It therefore turned to the US Capital team, with the aim of securing an expansive line of credit to support its growth needs. US Capital seeks always to find optimal financing solutions for its clients, whatever their financing needs. Serving as lead arranger, the US Capital team secured a $4 million revolving line of credit for the company. The US Capital team was able to efficiently arrange this financing through its in-depth understanding of its client's structure and business model. US Capital's non-formulaic approach and analysis of the financial performance, management team experience, credit of customers, and growth potential of the business were critical in successfully arranging this new facility. Headquartered in San Jose, CA, Butler-Johnson Corporation ("BJC") is a wholesale distributor of quality branded flooring, countertops, tile, natural stone, and other interior surfacing products. The company sells primarily to retailers, small manufacturers, and fabricators in the Northern California and Northwestern Nevada region. Established in 1960, the company is an exclusive distributor for DuPont and Mannington Mills in Northern California. BJC wished to take full advantage of upcoming commercial opportunities for expansion, but like many small businesses, the company was locked in an inappropriate financing structure that was hampering growth. Hoping to refinance an existing line of credit, as well as to secure additional working capital to support expansion, BJC approached the US Capital team for assistance. 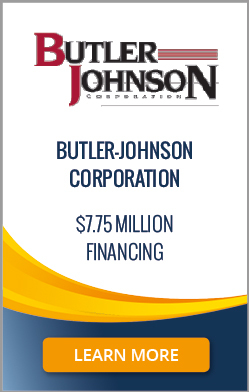 The US Capital team successfully arranged a $7 million line of credit for BJC, as well as a $750,000 new term loan to fund further growth. Serving as lead arranger, US Capital achieved this by helping to refinance BJC's accounts receivable and inventory line of credit facility and increasing its accounts receivable and inventory line of credit availability. The $7.75 million in financing arranged by the US Capital team was specifically designed to support BJC's plans for ongoing expansion. Founded in 1992, Consensus Orthopedics, Inc. ("Consensus") is a leading designer and manufacturer of high-quality reconstructive total joint implants for the hip and knee in the United States and international markets. Headquartered in El Dorado Hills, CA, Consensus sells its products throughout North America, Western Europe, Turkey, China, Japan, Australia, and New Zealand. Since 2005, the US Capital team has been arranging financing for Consensus and improving the company's access to capital. In 2011, as Consensus continued to expand, it was necessary to secure additional growth capital for the business, and also to consolidate and improve its existing financial structure. Serving as sole arranger, the US Capital team successfully secured an $8 million credit facility for Consensus. The financing comprised a revolving line of credit for both domestic and international assets along with growth capital term loans. Consensus will use the new facility to support its ongoing domestic and international expansion. 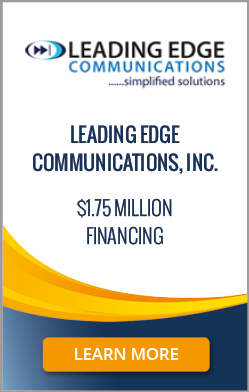 Established in 2000, Leading Edge Communications, Inc. ("LEC") is a growing Nevada-based telecommunications service provider. The company provides telecommunication support and services to four domestic and international full-service call centers. LEC's call center customers are primarily international retailers. LEC helps these retailers manage inbound traffic and provide customer support for their clients. LEC recognized an opportunity to diversify its income stream by becoming a wholesale telecommunications carrier and service provider. Having invested in the necessary technology and infrastructure, LEC required additional working capital to take advantage of the opportunity. The company turned to the US Capital team for help. Although LEC was bringing out a new product line, the US Capital team was able to arrange a scalable $1 million line of credit and an additional $750,000 term loan to support LEC's growth. US Capital was able to secure this financing for LEC by providing an objective third-party analysis and evaluation of the historical financial performance of the company, the experience of the management team, the credit of its customers, and the growth potential of the business. SpecPrint is a family-run custom printing and manufacturing business headquartered in Mt. Juliet, Tennessee. The company specializes in printing labels for manufacturers of power equipment and appliances. It also produces a wide range of other custom products, including graphic overlays, decals and nameplates, and specialty die-cut components. SpecPrint's lender was looking to exit because the business had suffered declining sales and was operating in a criticized industry, printing. SpecPrint needed refinancing quickly to retire its existing line of credit and term loan with the bank, as well as to provide working capital for the business. Failure to refinance promptly would lead to foreclosure. 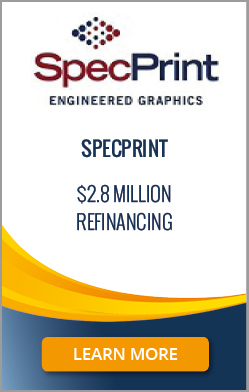 The US Capital team helped engineer a $2.8 million refinancing for SpecPrint. We evaluated the collateral coverage and financial performance of the company, and helped arrange a partial take-out of the bank at a significant discount. SpecPrint is now in a stronger position with lower debt on its balance sheet, a better relationship with a new lender, and a business that has managed to retain its employees and is again working towards growth. 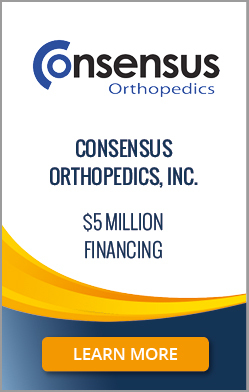 Founded in 1992, Consensus Orthopedics, Inc. ("Consensus") is a leading designer and manufacturer of high-quality reconstructive total joint implants for the hip and knee in the United States and international markets. Headquartered in El Dorado Hills, CA, Consensus sells its products throughout North America, Western Europe, Turkey, Japan, and Australia. Consensus had been growing its business rapidly, both in the United States and abroad. In February 2011, for instance, Consensus entered into an exclusive partnership with Kanghui Holdings (NYSE: KH), a leader in China's orthopedics sector, to manufacture and market a series of joint implant products in China and other international markets. To support its rapid expansion, Consensus needed to renegotiate its credit facility to reduce interests costs and eliminate working capital constraints. The US Capital team initiated negotiations with Consensus's lender, and was able successfully to secure a $5 million senior secured credit facility for Consensus. The renegotiated facility arranged by US Capital included a decrease in the interest rate, as well as an increase in both the AR line of credit for domestic receivables and the inventory line of credit. The renegotiated facility was designed to support Consensus's growth plans. Established in 2000, Steven Counts is a Florida landsite development company with extensive experience in the heavy construction industry. The company's activities encompass asphalt paving and production, aggregate mining and processing, concrete block and ready-mix manufacturing, and full-service site development with in-house estimating and surveying. Having survived and grown out of the "Great Recession," Steven Counts had plans for renewed expansion in line with the recovery of Florida's infrastructure and construction industry. The difficulty was that the company's lines of credit were capped and had no growth potential. Steven Counts approached the US Capital team for help. 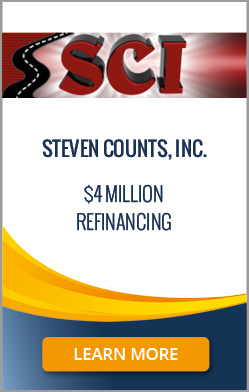 The US Capital team successfully arranged a $4 million senior secured credit facility for Steven Counts. The new facility was designed to retire Steven Counts's existing term loans with the bank. It provided significant cash at close, after paying the bank out in full, together with additional borrowing availability to allow Steven Counts to continue growing. Headquartered in Chicago, Illinois, this thriving consumer retail beverage company sells its brands in 47 states through a diverse mix of distributors. Founded in 2005, the company has become one of the fastest-growing consumer retail beverage manufacturers in the United States. The existing line of credit of this rapidly expanding beverage company was unscalable and inadequate. Consequently, working capital constraints were hampering the company's domestic growth. The company sought out US Capital to arrange a line of credit that was scalable to match the ongoing expansion of the business. 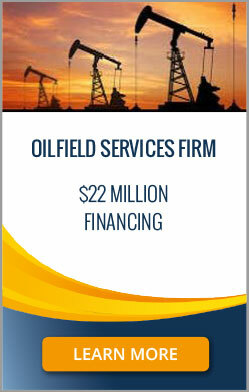 The US Capital team arranged a $6 million senior secured credit facility for the company. Working with its affiliates, US Capital not only helped refinance the company's exiting line of credit but also successfully arranged long-term, scalable financing beyond the traditional banks' capabilities. The new credit facility included an accounts receivable and inventory line of credit on the company's domestic assets. It served to eliminate working capital constraints and support the company's ongoing domestic growth. Founded 25 years ago, this California-based company is an international produce supplier and agricultural produce shipper. 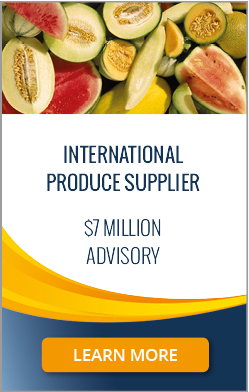 With production strategically located across the US, Mexico, and Central America, the business is able to meet increasing customer demand for year-round produce supplies. The company supplies major retailers, wholesalers, and distributors in North America. Following one or two weak harvest years, the company suffered a dip in earnings and cash flow. This coincided with the company's bank becoming severely weakened during the economic downturn. Faced with liquidity issues, the bank was no longer able to provide the seasonal "over-advance" it had made available to the company for the past 10 years to accommodate the seasonal nature of the business. Now unable to pay its vendors, the company was under serious financial pressure, which triggered a bank workout. The US Capital team engineered a workout plan for the company, and was able to negotiate a successful exit from the bank at 100% debt payout. US Capital also arranged additional financing options for the company. The company executed on the workout arrangement and secured $7 million of debt financing for itself. 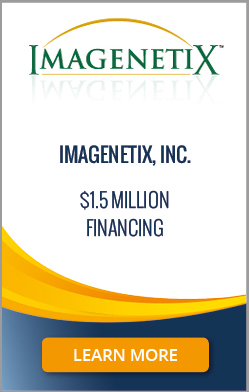 Imagenetix is a California-based public company traded on NASDAQ (Symbol: IAGX). Headquartered in San Diego, the company is a growing innovator of scientifically tested, proprietary bioceutical products. It develops, formulates and markets natural-based, over-the-counter skincare products, topical creams, and nutritional supplements. Imagenetix was being hindered by working capital constraints. To support its ongoing expansion, the company approached the US Capital team for a working capital line of credit. The challenge for US Capital was to arrange suitable financing for Imagenetix despite the company's AR and inventory collateral possessing some retail credit risk. Serving as sole arranger, US Capital was able to successfully arrange a $1.5 million senior secured credit facility for Imagenetix. This included an AR and inventory line of credit, which maximized Imagenetix's borrowing eligibility and provided the company with the liquidity it needed. US Capital has particular expertise in underwriting AR and inventory collateral that possesses retail credit risk. 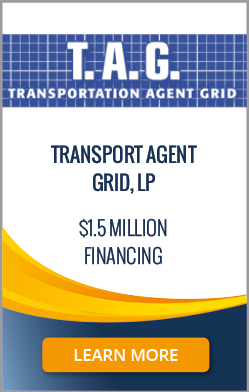 Transportation Agent Grid, LP ("TAG") is a growing operations and logistics resource business for California-based independently-owned local and regional on-call delivery companies. TAG is headquartered in Newark, CA. Through a careful analysis of TAG's collateral base, the US Capital team was able to understand TAG's trade receivables from a credit perspective. This made it possible for US Capital to bring in lenders under a new, improved structure. Working with its affiliates, the US Capital team secured a $1.5 million senior secured credit facility for TAG. The new credit facility served to refinance TAG's previous line of credit and to finance its receivables. 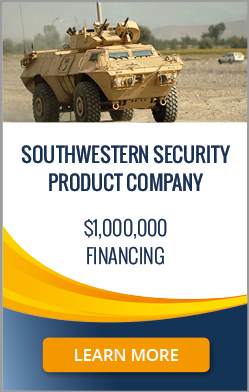 This southwestern security product company designs and manufactures "knowledge-based" synthetic armor products for the military, police, and commercial sectors globally. Its range of products include body armor, vehicle armor, aircraft armor, energy asset protection, and infrastructure protection. This company was in cash-burn mode, sales were low, and key contracts had to be fulfilled, but there was insufficient working capital to finance the manufacturing to fulfill purchase orders. The company had fixed assets (equipment) and accounts receivable, but the fixed assets were not financeable by its regional bank and the accounts receivable had concentration issues and were foreign. The US Capital team was able to collateralize both the equipment, at auction values, and the foreign and domestic receivables. Working with its Illinois- and Florida-based lender affiliates, the US Capital team was able to successfully structure financing so that this company could fulfill its orders and continue its operations. The total capital provided to the company is $1 million, through a senior credit facility of $500,000 and a senior term loan of $500,000. 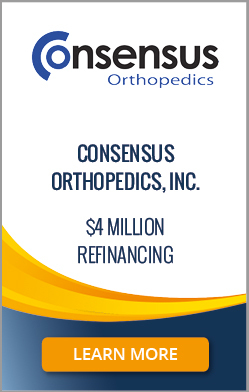 Consensus Orthopedics, Inc. is a $15-million US-based medical artificial joint implant manufacturer with global distribution. It has been operating for 15 years, is professionally managed, and started becoming profitable in 2009. Consensus approached US Capital for a structured equipment sale leaseback to provide working capital and to finance the acquisition of new equipment prior to becoming profitable. It also needed to refinance some of its existing debt and to secure a bridge to a new credit facility. The US Capital team has worked with Consensus over the past three years as an advisor, direct lender, co-lender, and sole arranger to secure over $4 million in additional capital for the company. The US Capital team has refinanced the company's AR line of credit, provided an asset-based term loan, and funded a new inventory line of credit. US Capital has also extensively advised Consensus on a recent $2 million equity raise and on new distribution relationships. A&E Engineering, Inc. is a profitable US manufacturer of precision aerospace parts and components. The company has been in operation for five years. 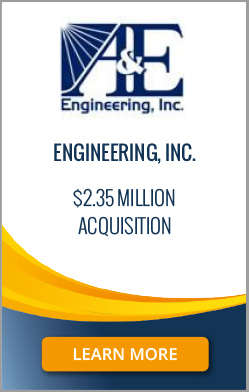 A&E Engineering wanted to acquire a new manufacturing facility and new equipment for expansion. It also sought a sale leaseback and an accounts receivable line of credit for additional working capital. The US Capital team served as a direct lender, co-lender, and sole arranger for A&E Engineering, securing a total of $2.35 million for the company. US Capital provided an equipment leasing line of credit, a sale leaseback of existing equipment, a new building acquisition term loan, and an accounts receivable line of credit. 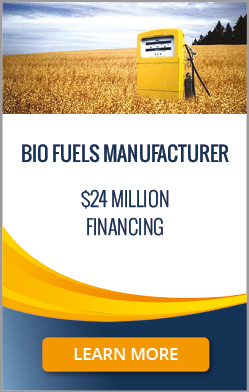 This company was a highly promising bio fuels processor and distributor. It was a startup business with contributed plant and equipment. The start up required working capital to purchase initial raw materials, as well as growth financing to scale the business to $200 million. It approached the US Capital team for a bridge loan to purchase materials, for an equipment sale leaseback for additional working capital, and for an accounts receivable line of credit to finance business growth. The US Capital team was able to provide the bridge loan, the equipment sale leaseback, and the accounts receivable line of credit. As a direct lender, co-lender, and sole arranger, US Capital secured a total of $24 million for the company. 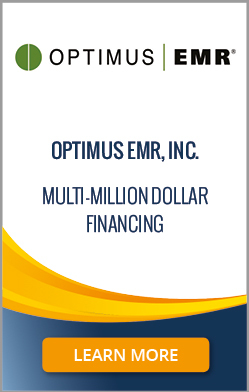 Optimus EMR™, Inc. ("Optimus") is a leading provider of clinical content and electronic medical records software. Founded in 2000 and headquartered in Irvine, CA, the company is leading the transformation of electronic medical records, point-of-care data collection, workflow automation, and full implementation partnership for post-acute care. Optimus offers the Optimus EMR system, the most advanced electronic health record system for the post-acute care market. Having developed outstanding clinical and EMR software solutions, Optimus needed further financing to support its expansion plans. Additional growth capital would allow the company to market its products more aggressively across the US, with the aim of gaining significant market share in its growing industry. The company was also looking to refinance its existing working capital line of credit, and turned to the US Capital team for help. The US Capital team successfully secured a new multi-million dollar credit facility for Optimus. The new facility served to refinance the company's existing line of credit and to support its expansion plans.